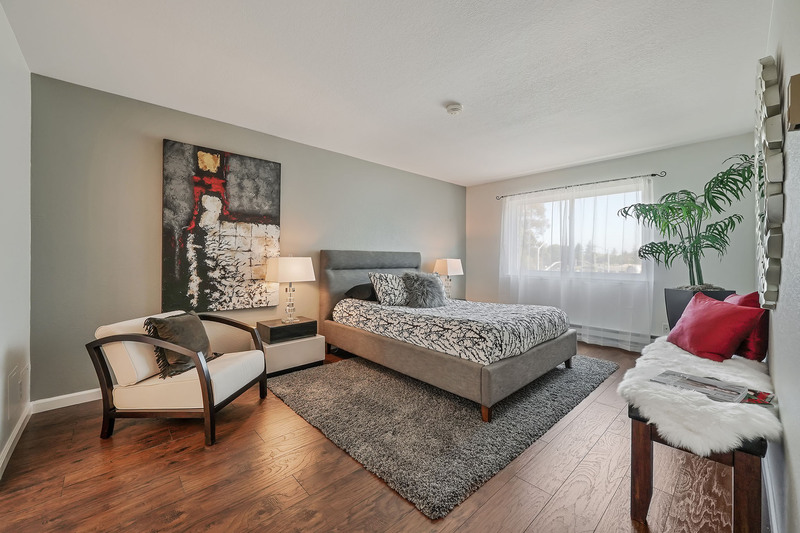 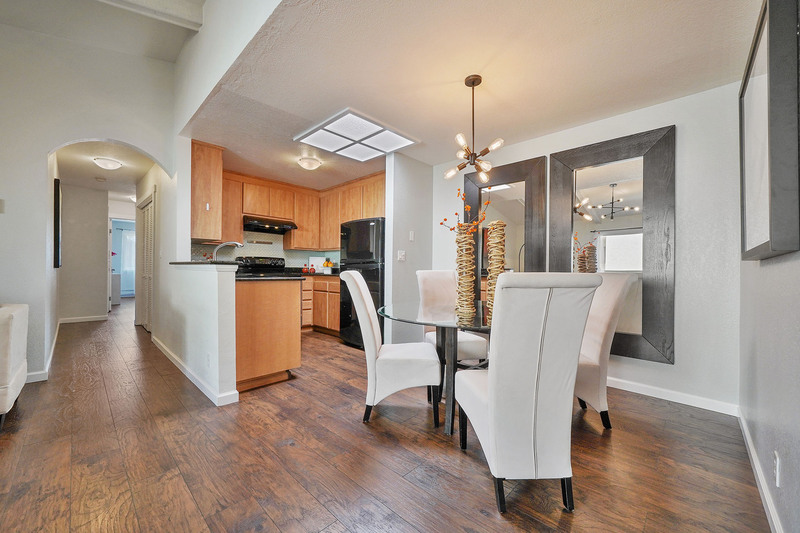 Open and filled with natural light, this two bedroom top floor condo defines the easy lifestyle of urban living on the Peninsula. 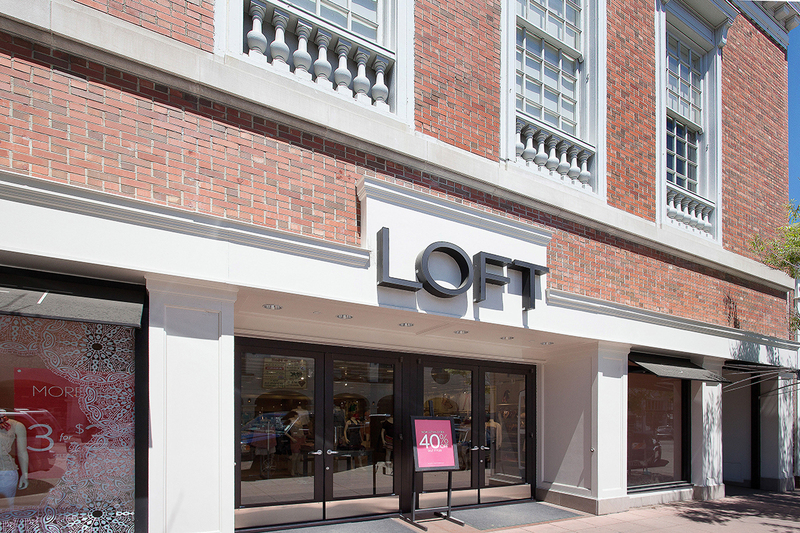 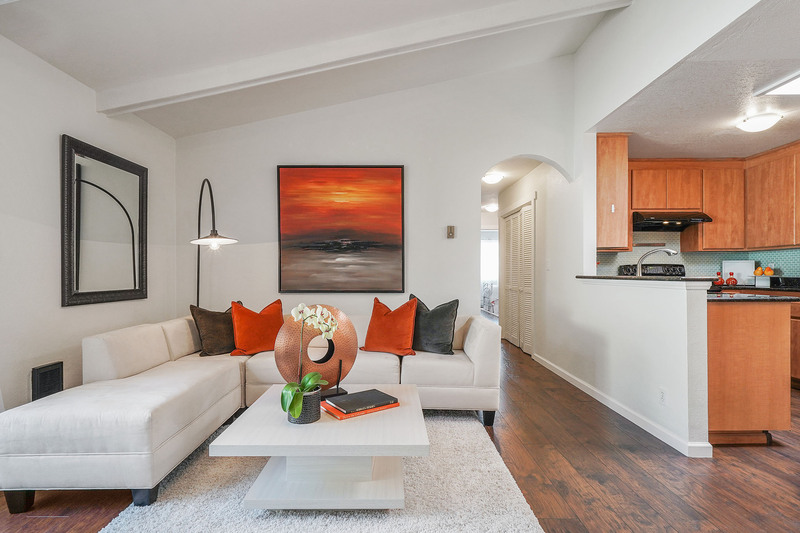 The open floor plan combines living, dining, kitchen and outdoor space for exceptional flow and functionality. 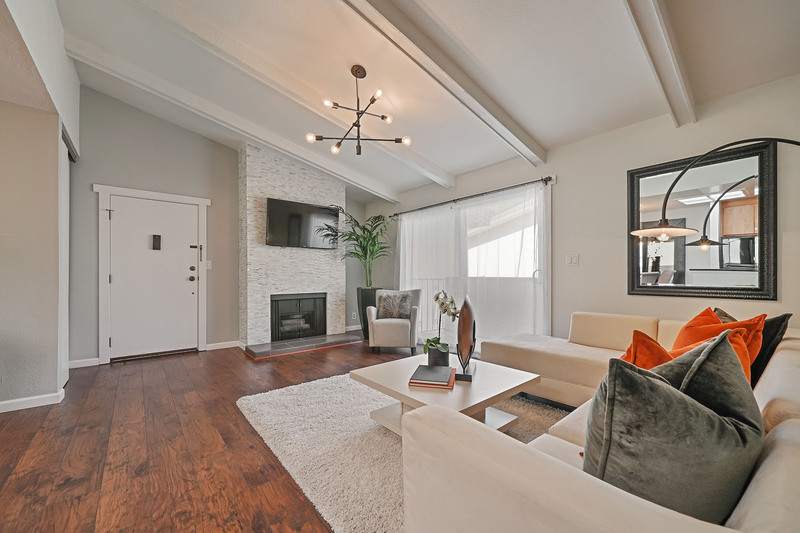 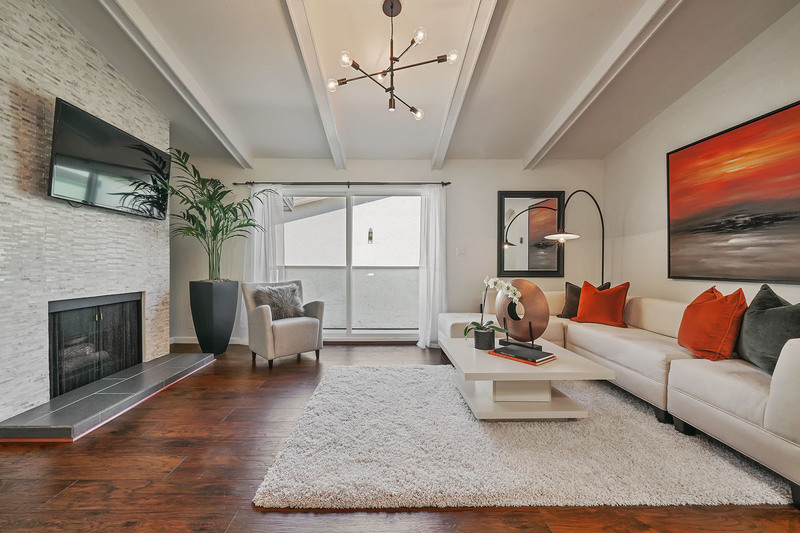 The large living room has a vaulted ceiling and sputnik chandelier, gas fireplace with custom marble tile surround, and a sliding door to a sunny balcony. 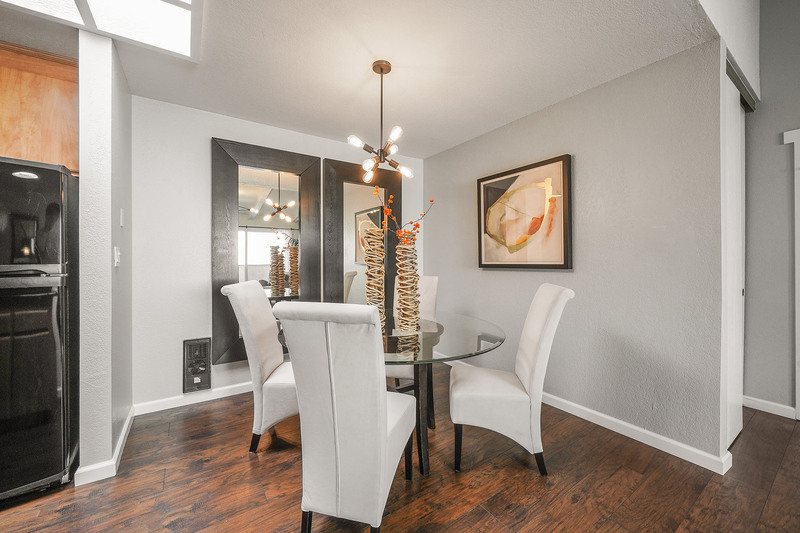 The dining room features custom lighting and a large skylight. 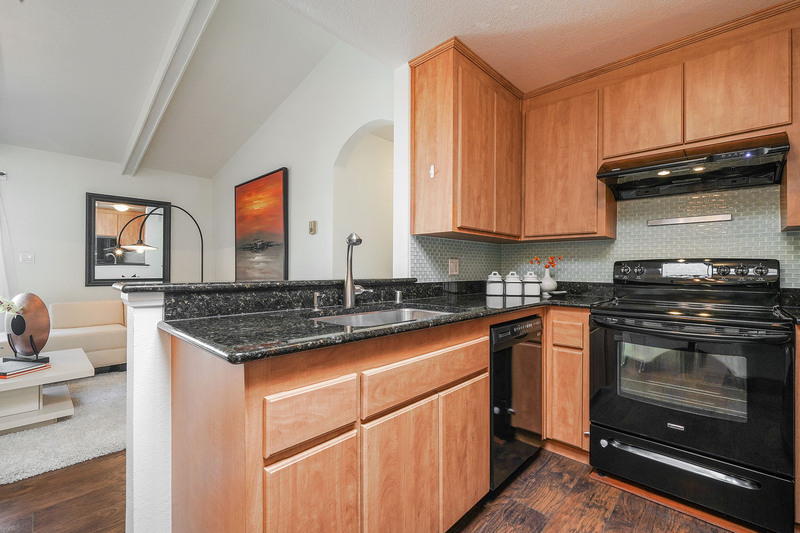 A glass tile backsplash, granite countertops and newer appliances plus the openness of the peninsula-style kitchen make cooking and entertaining easy. 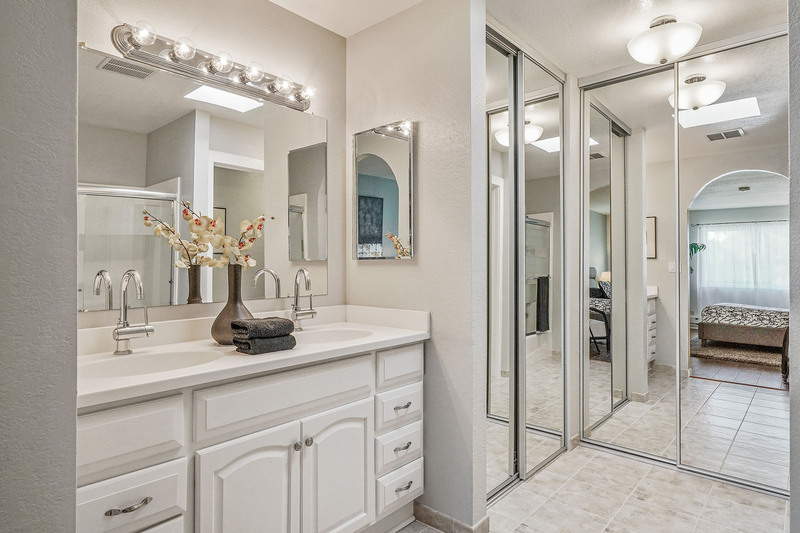 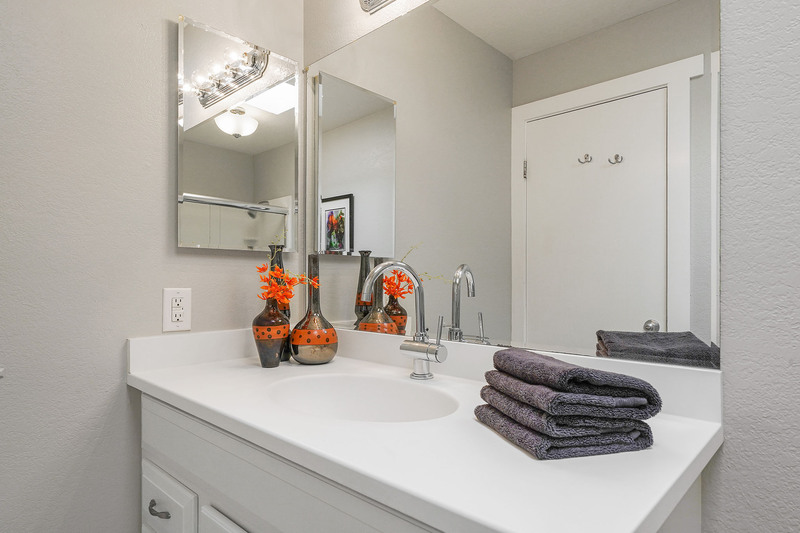 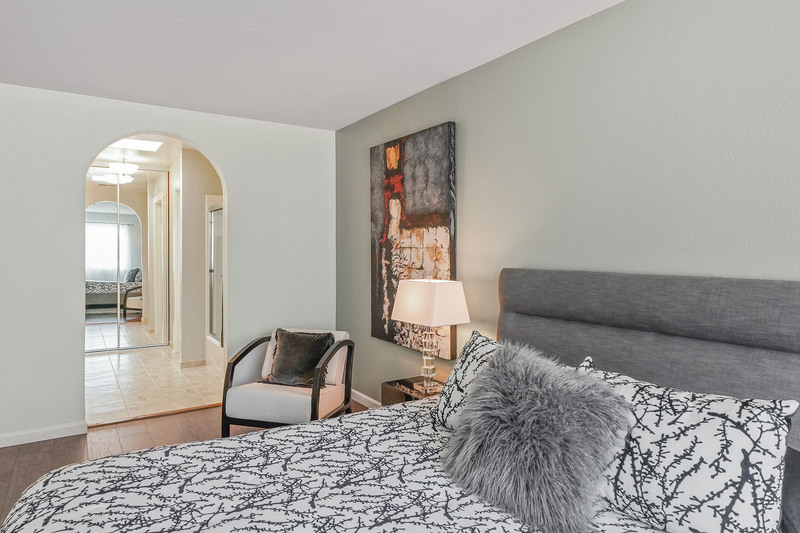 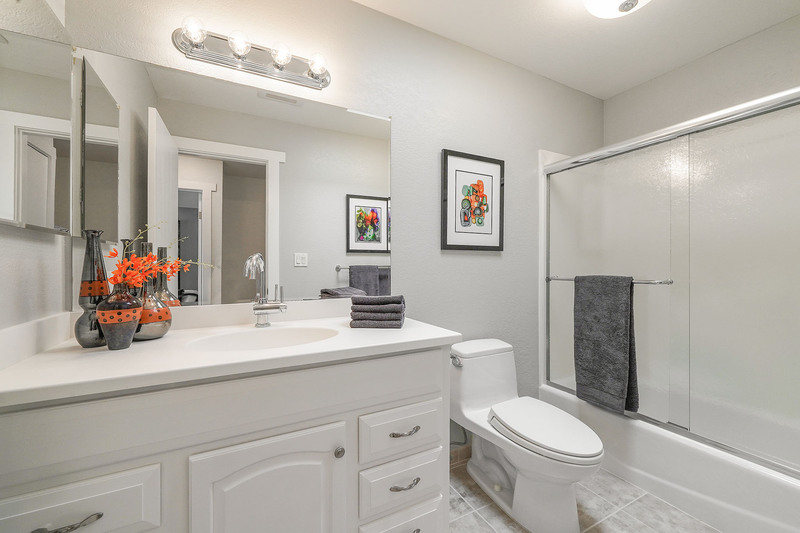 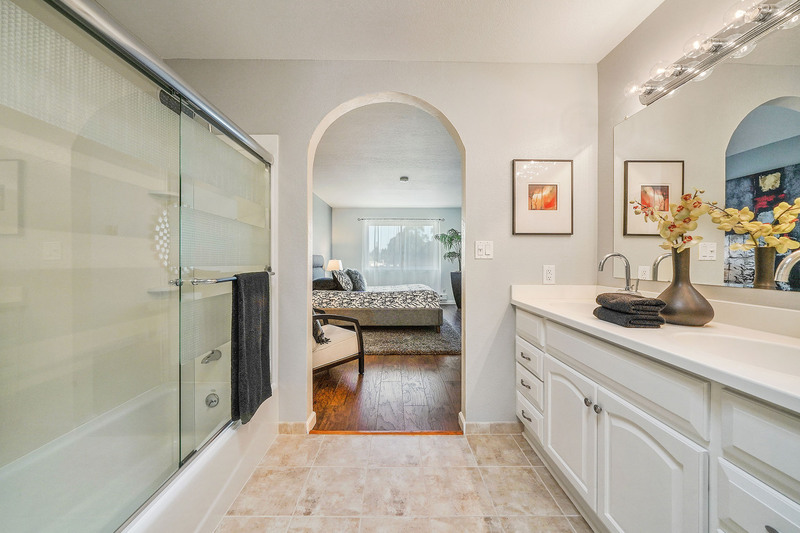 The spacious master suite has a generous bathroom with shower/tub, skylight and two large closets with built-ins. 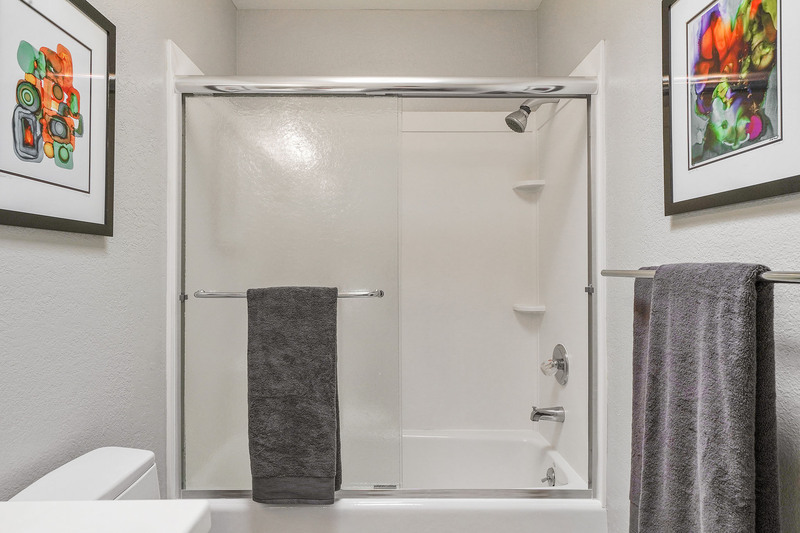 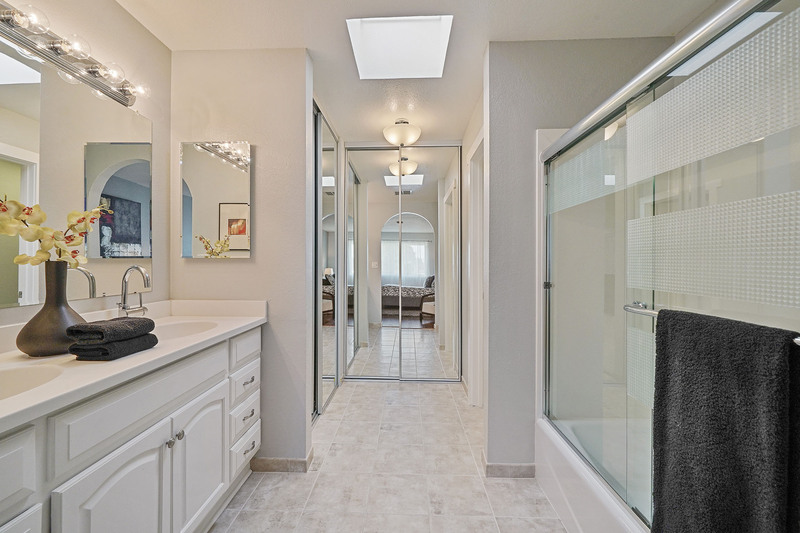 A second bedroom has a mirrored closet insert and the second bath off the hall has a shower/tub and skylight. 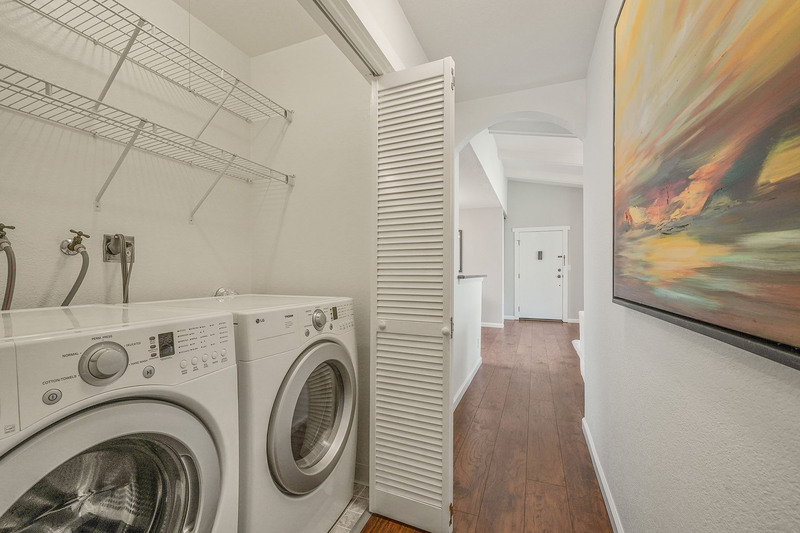 Additional features include in-unit laundry, two covered parking spaces with ample additional storage and secured by an automatic gate, and a large shared garden with BBQ area. 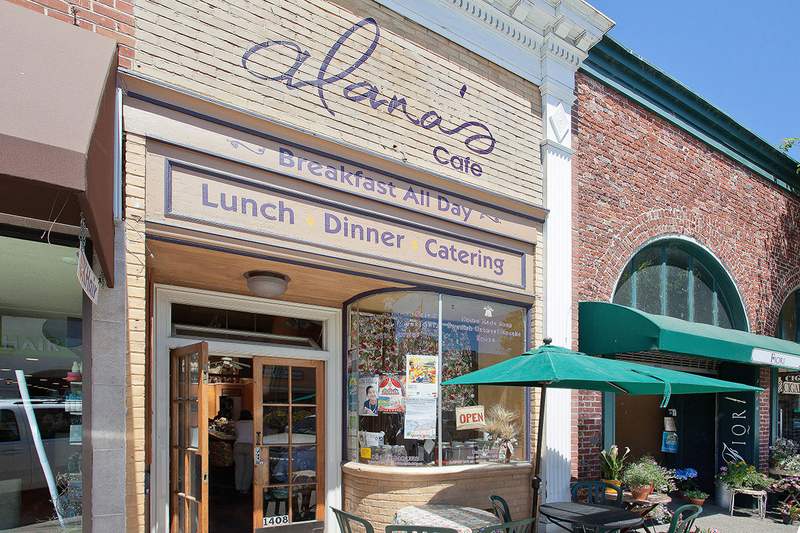 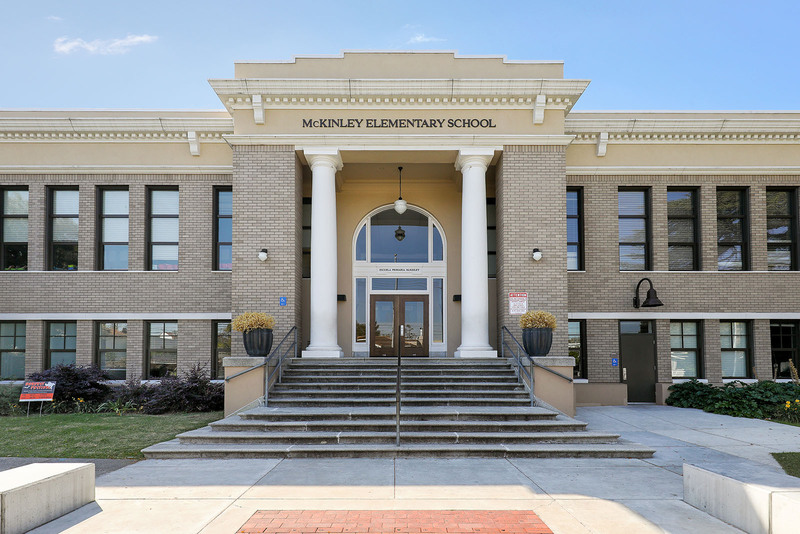 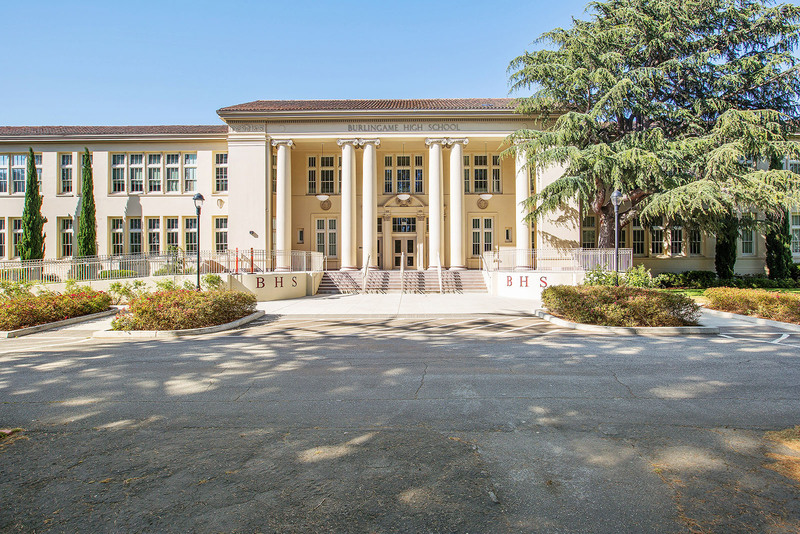 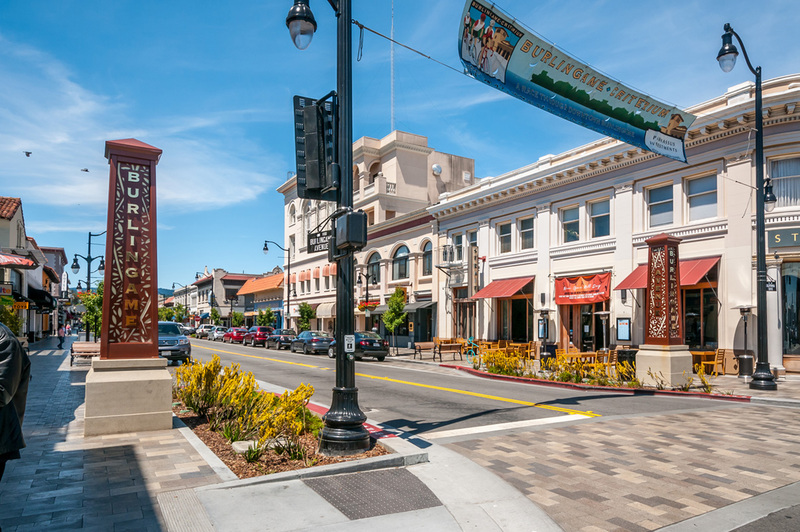 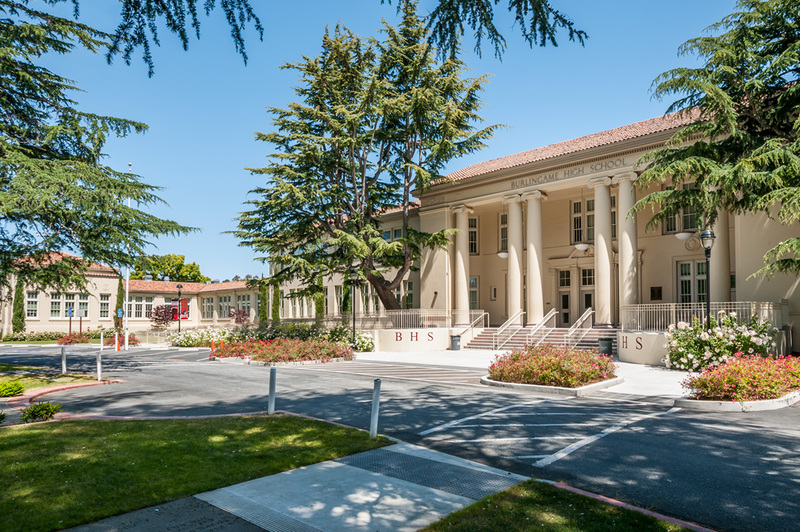 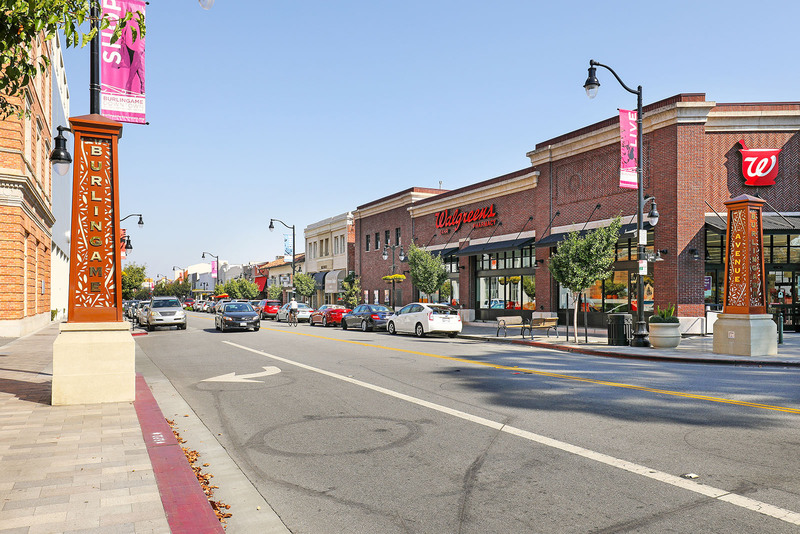 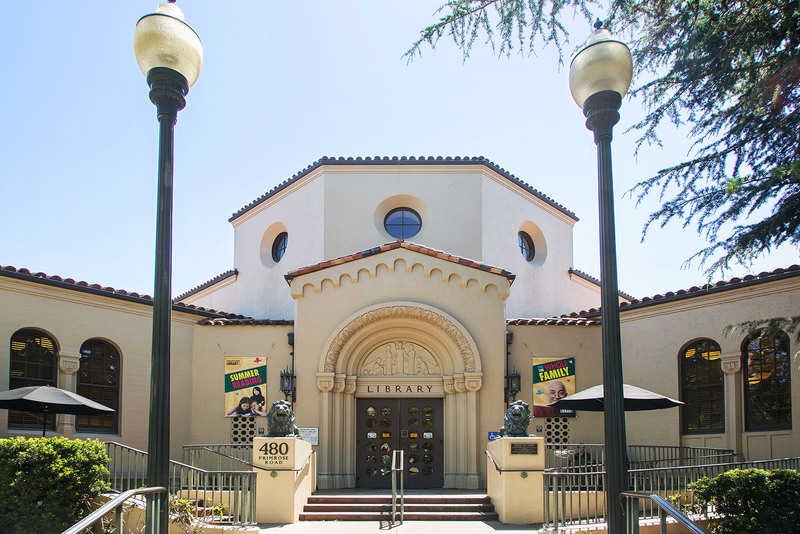 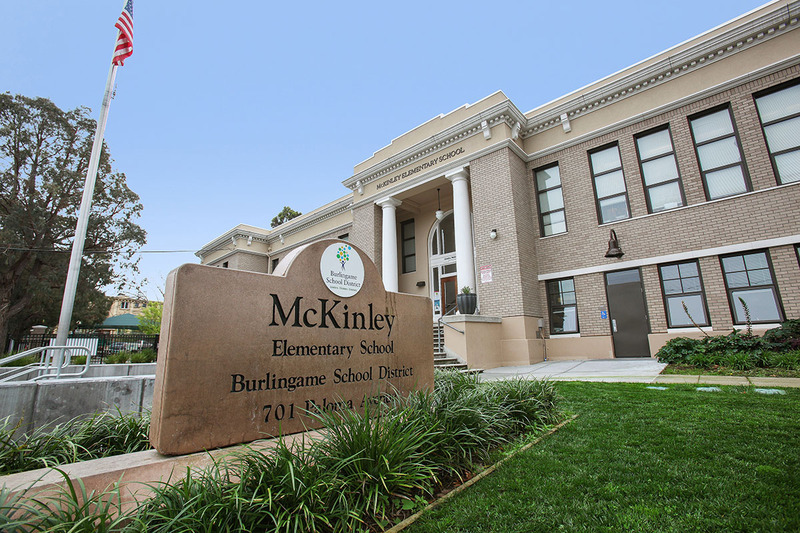 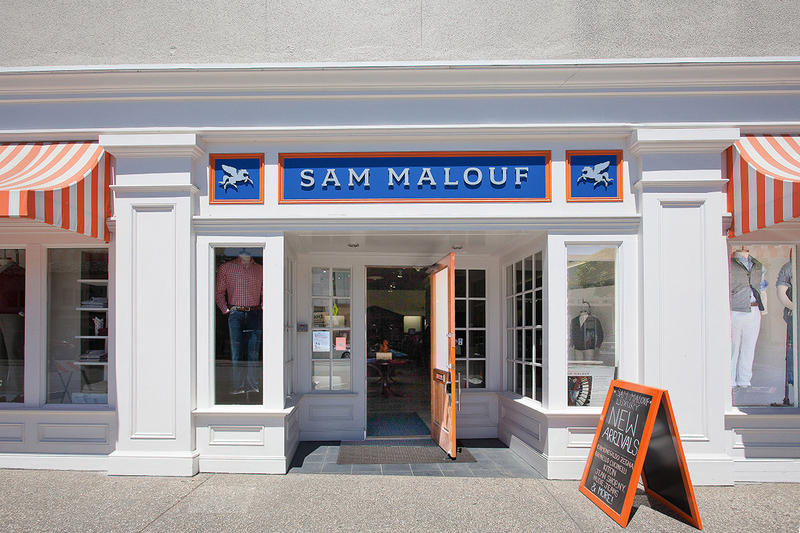 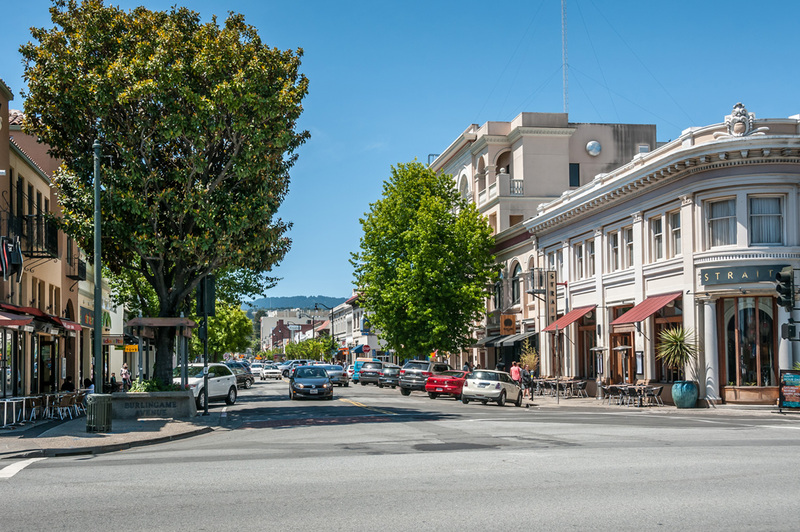 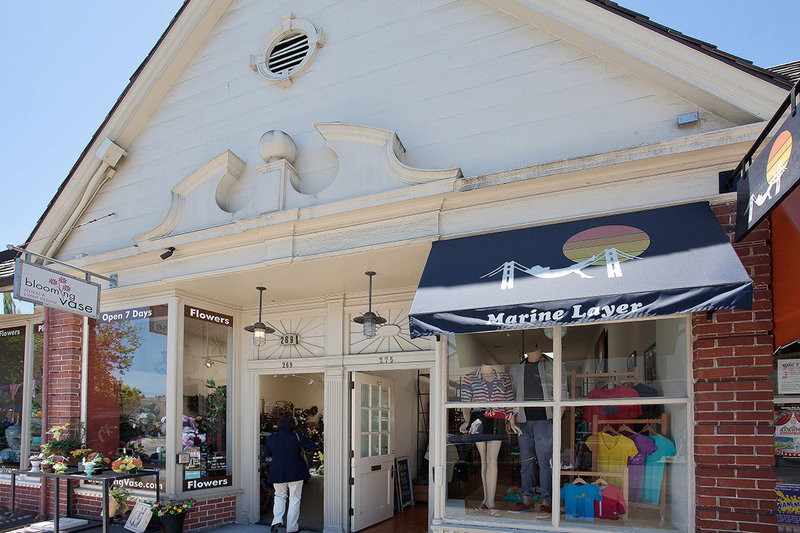 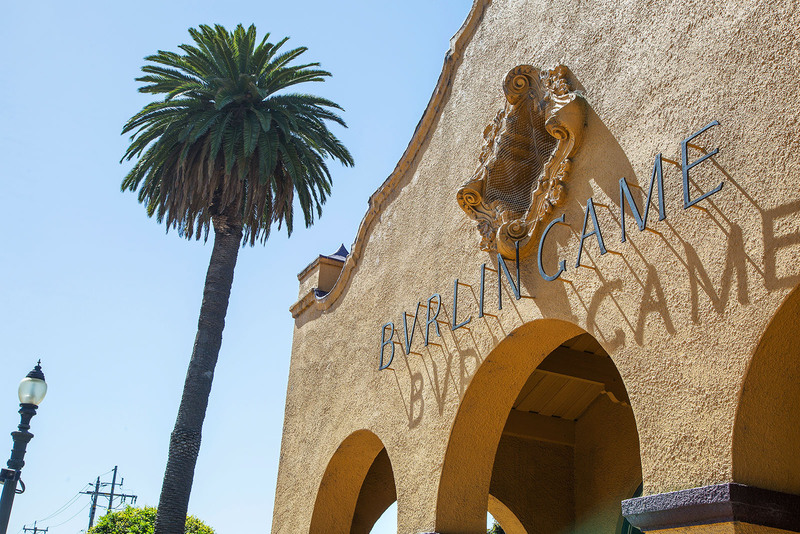 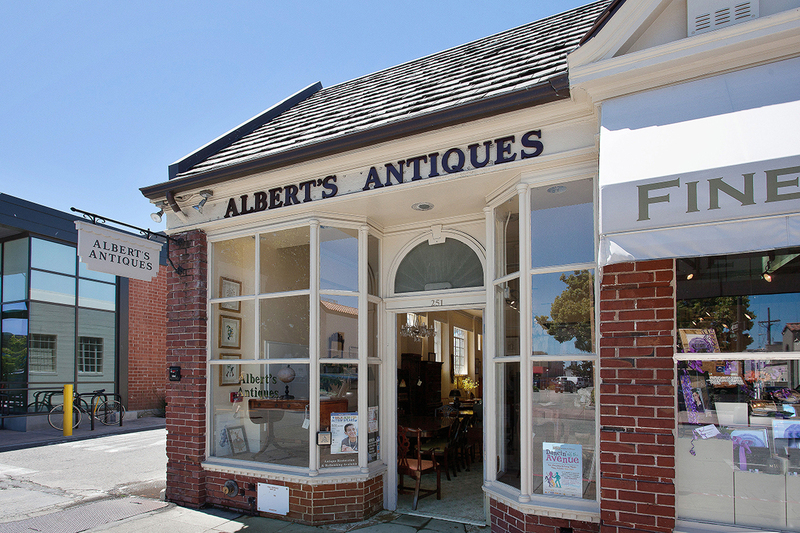 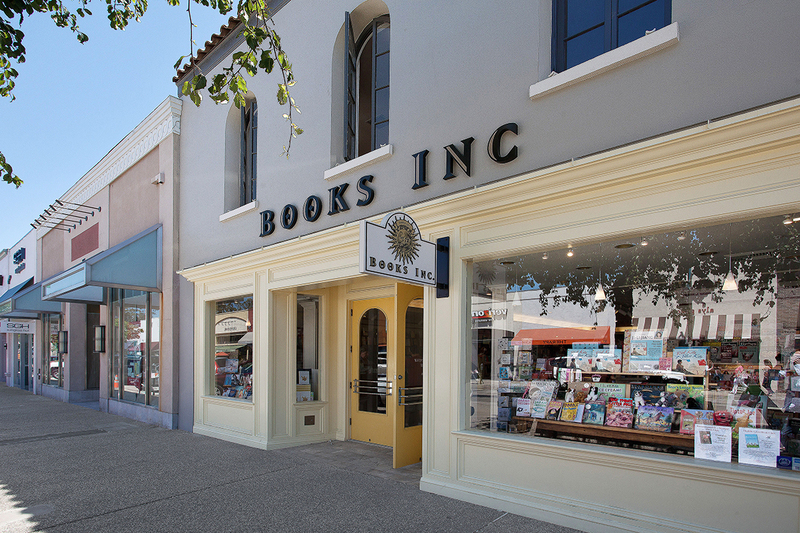 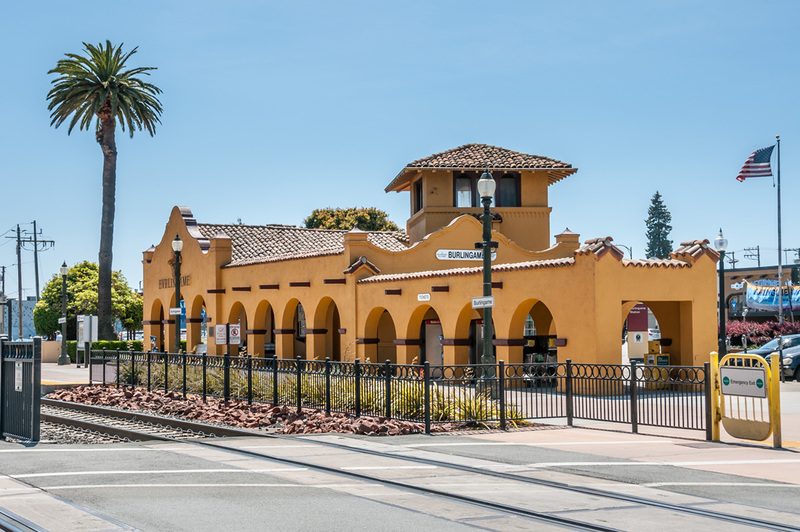 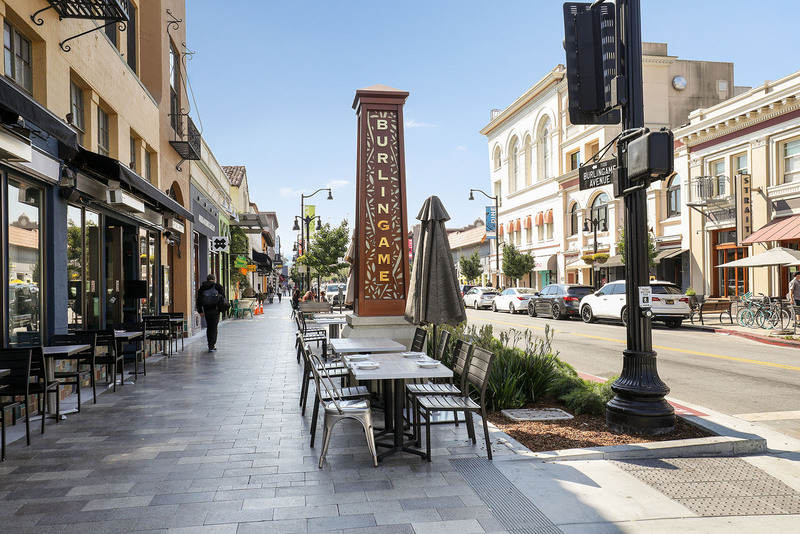 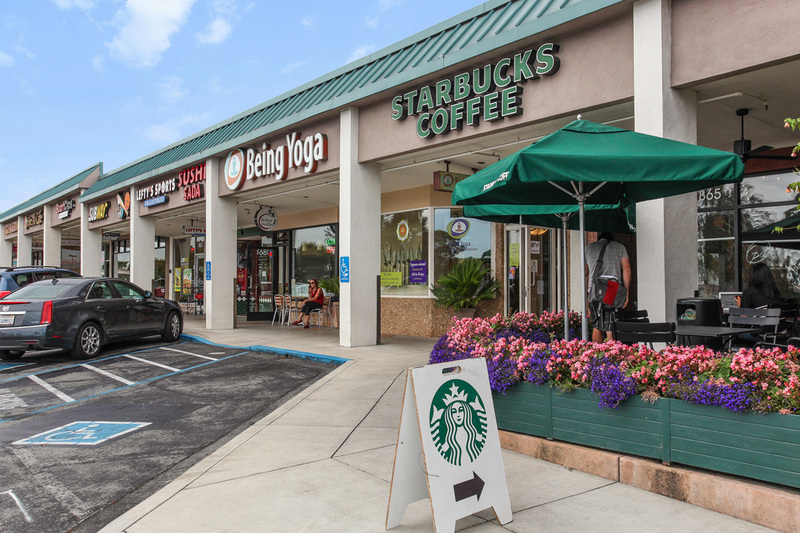 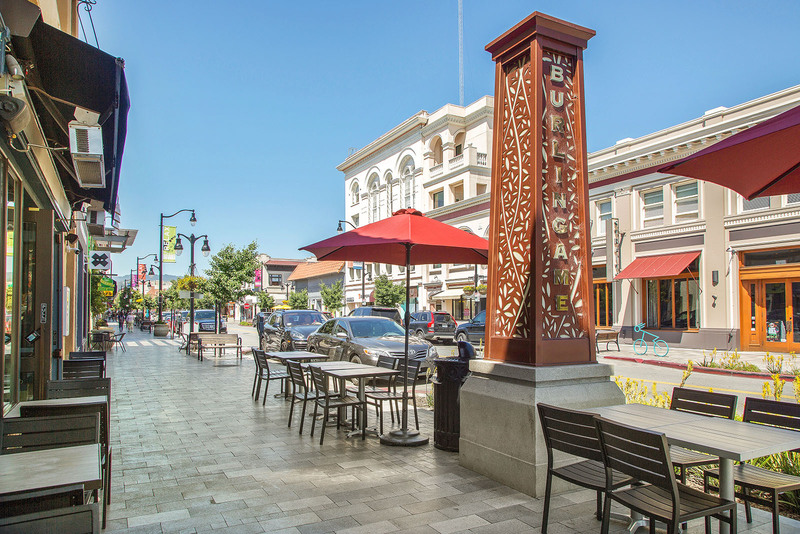 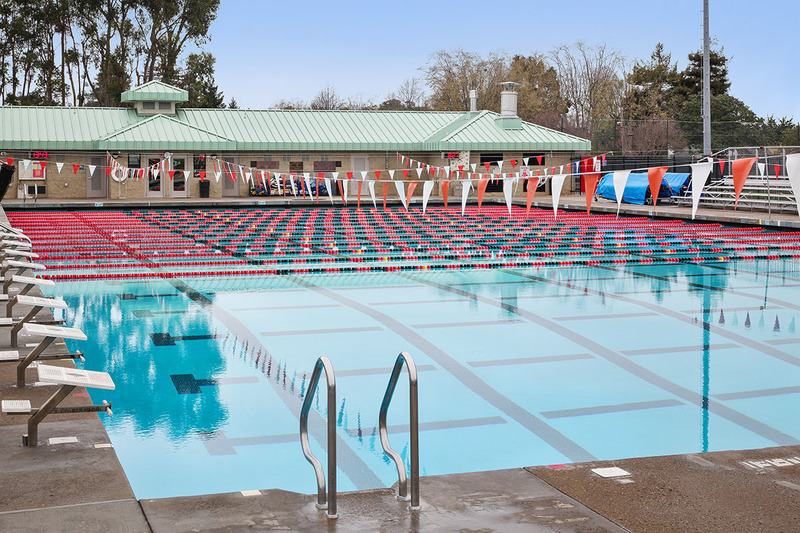 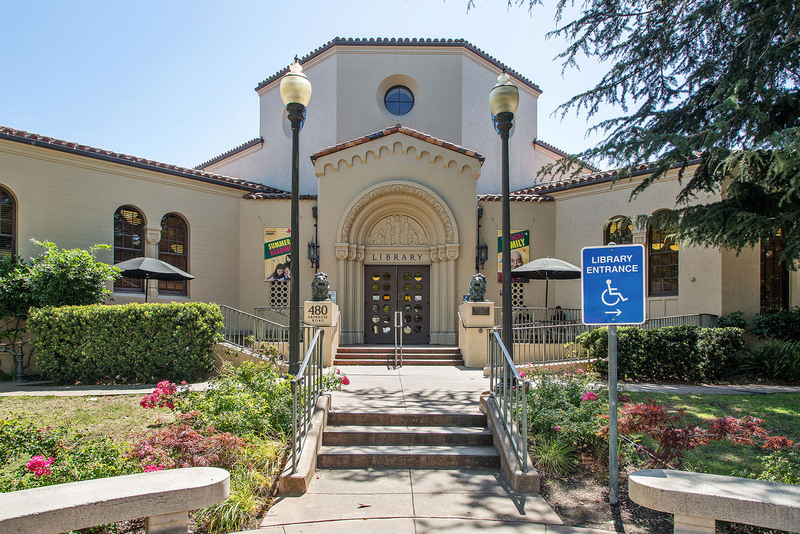 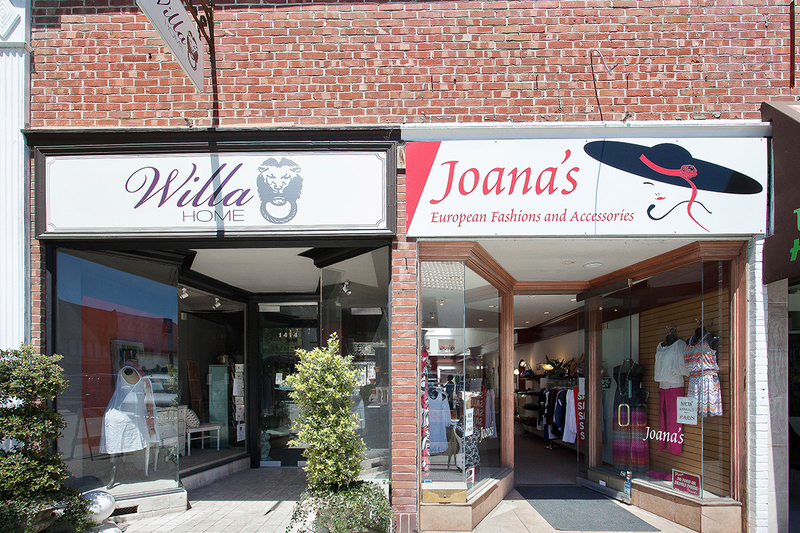 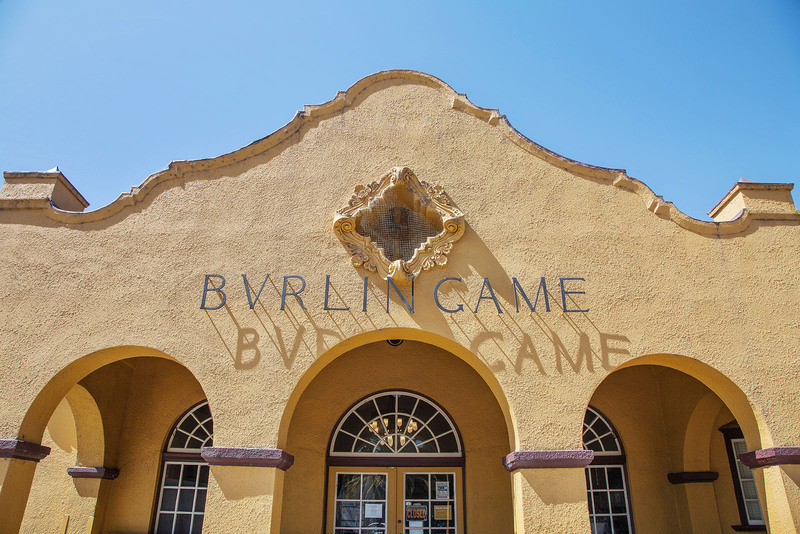 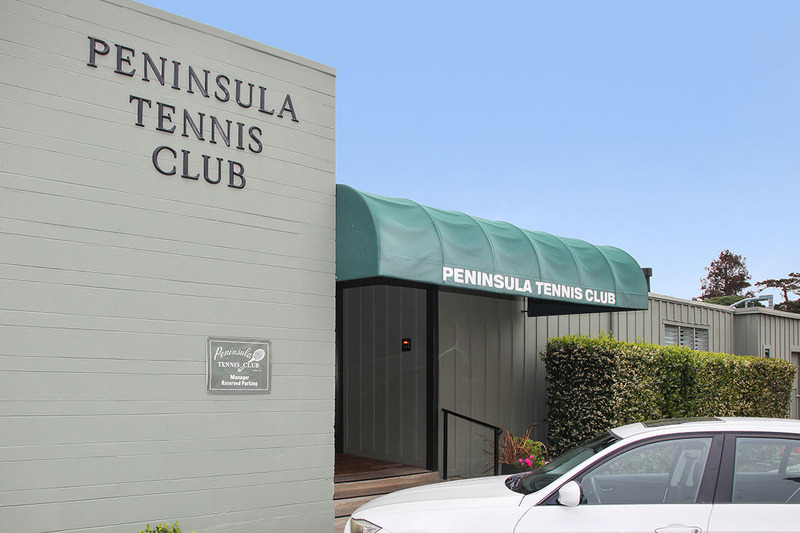 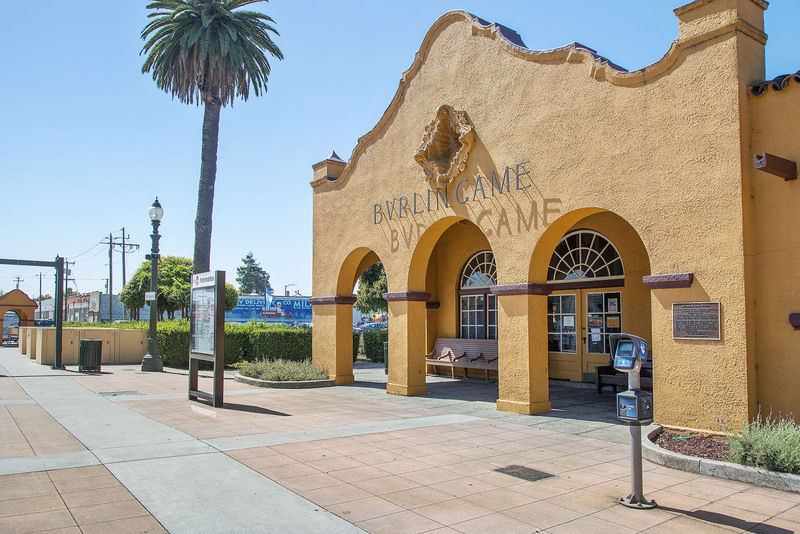 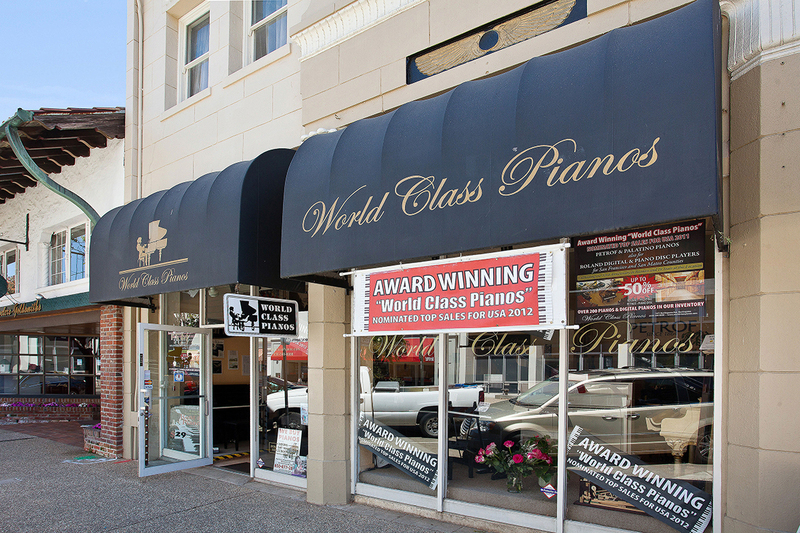 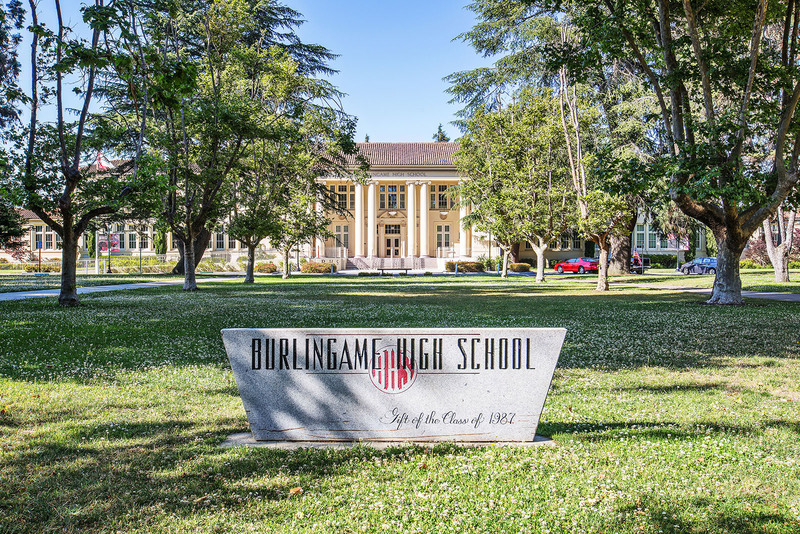 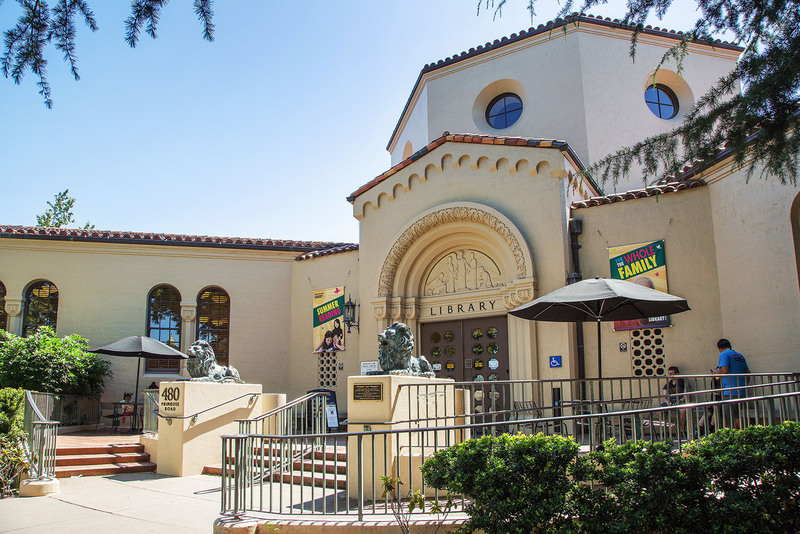 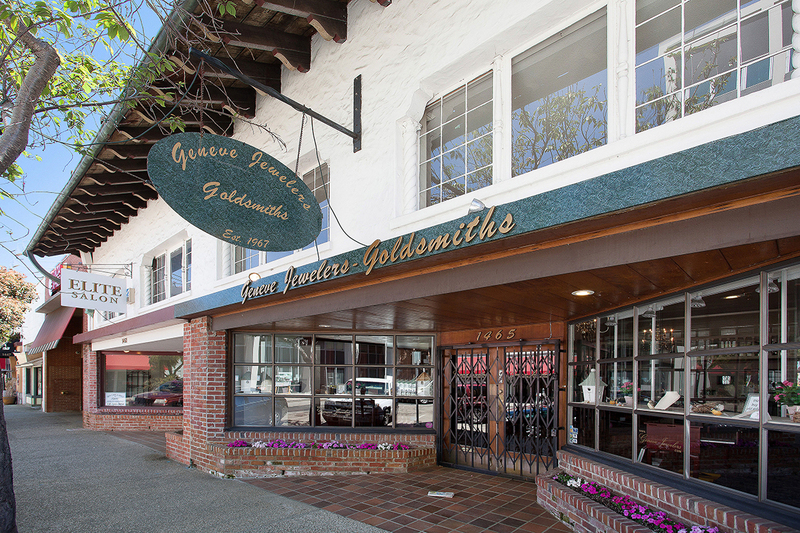 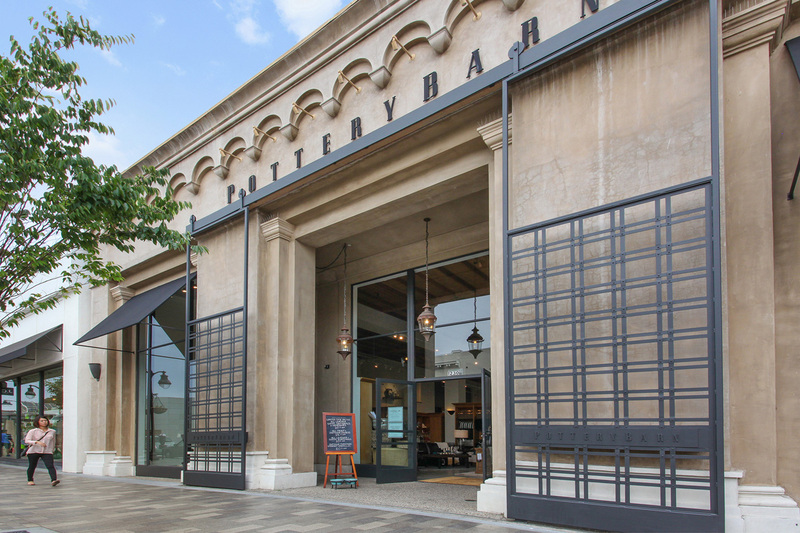 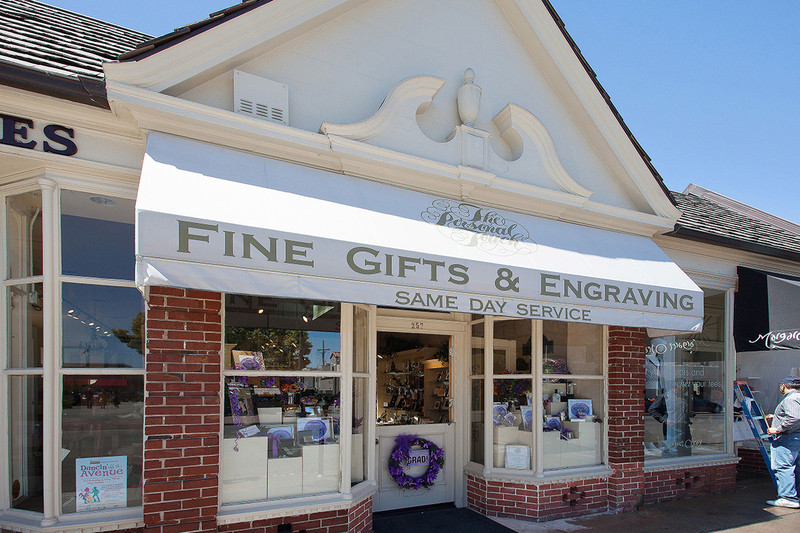 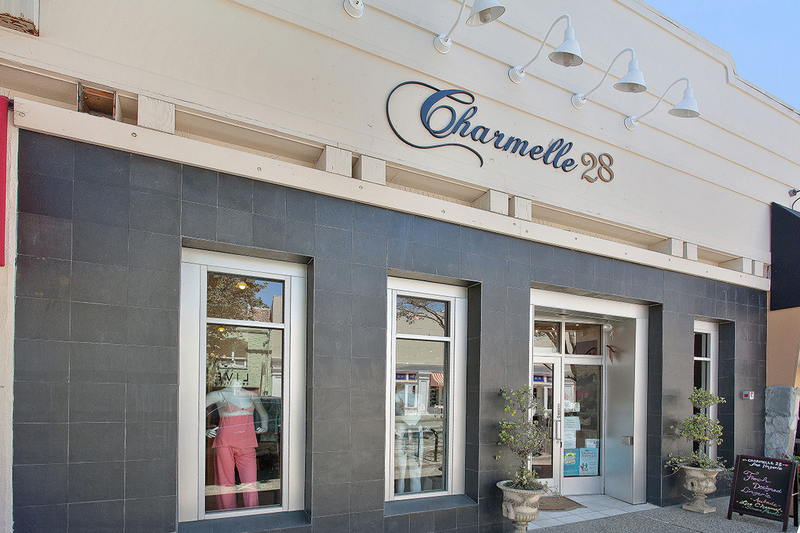 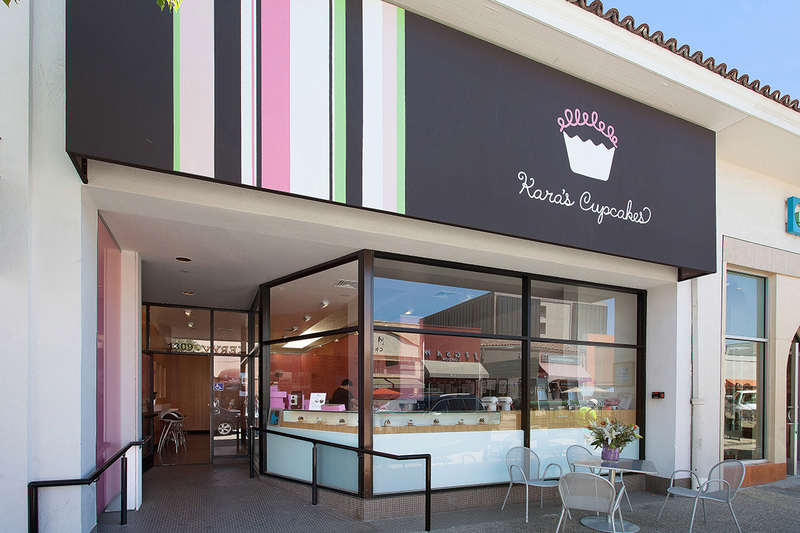 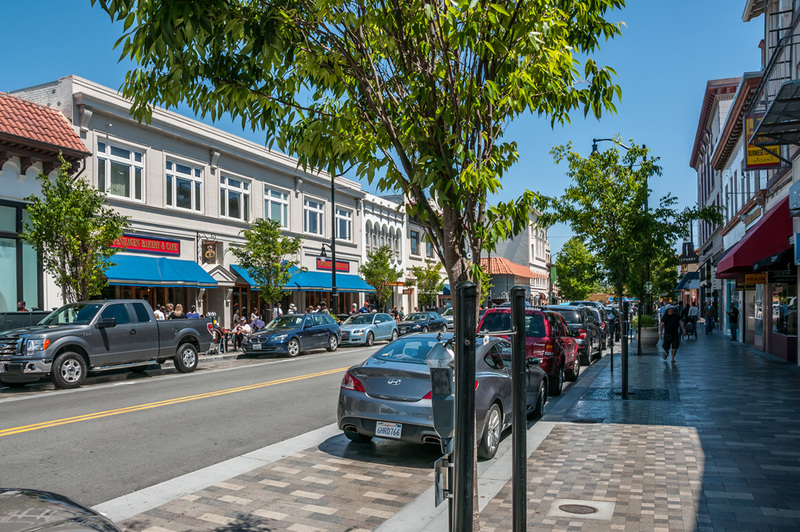 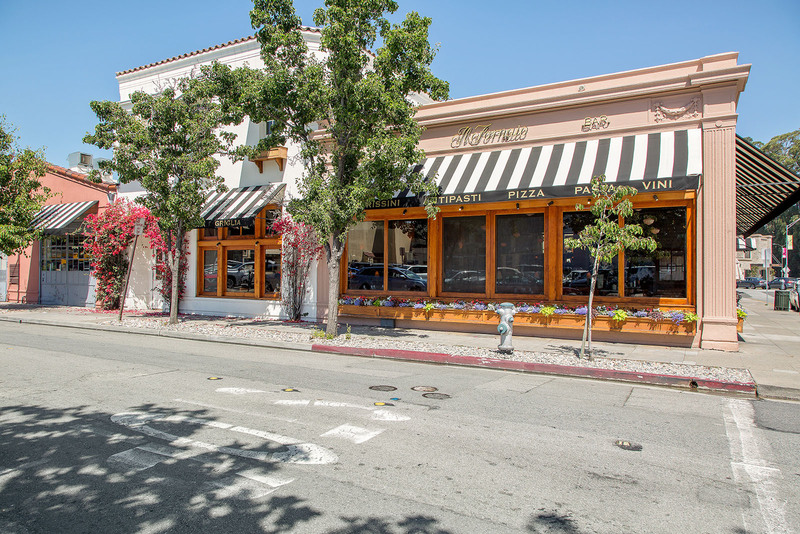 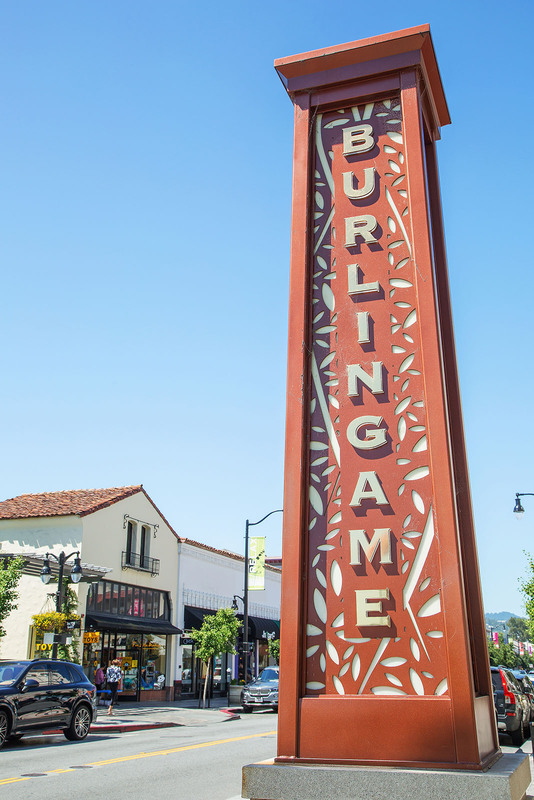 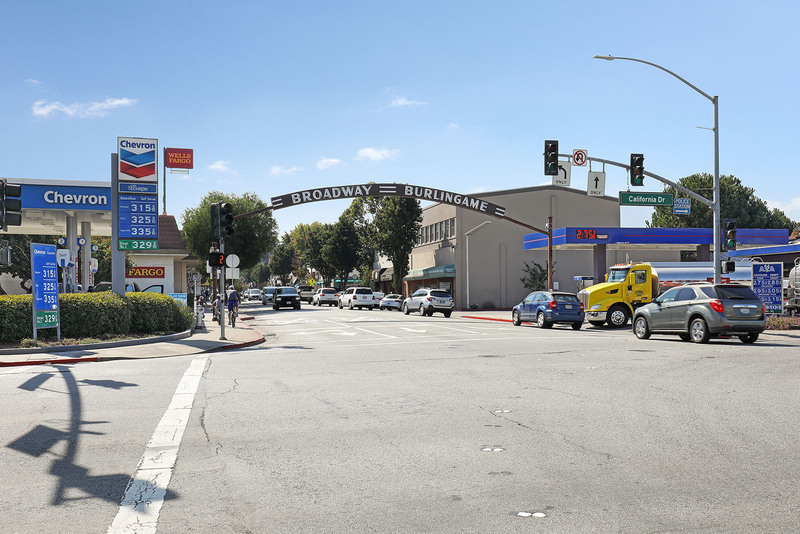 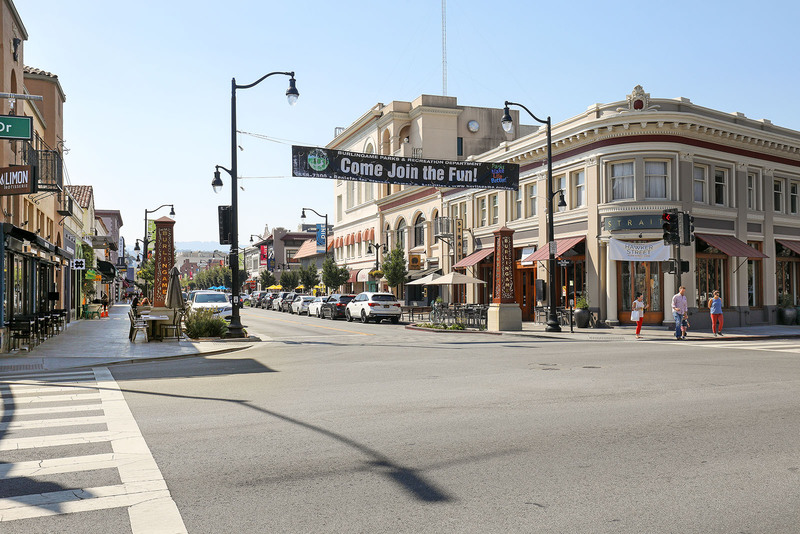 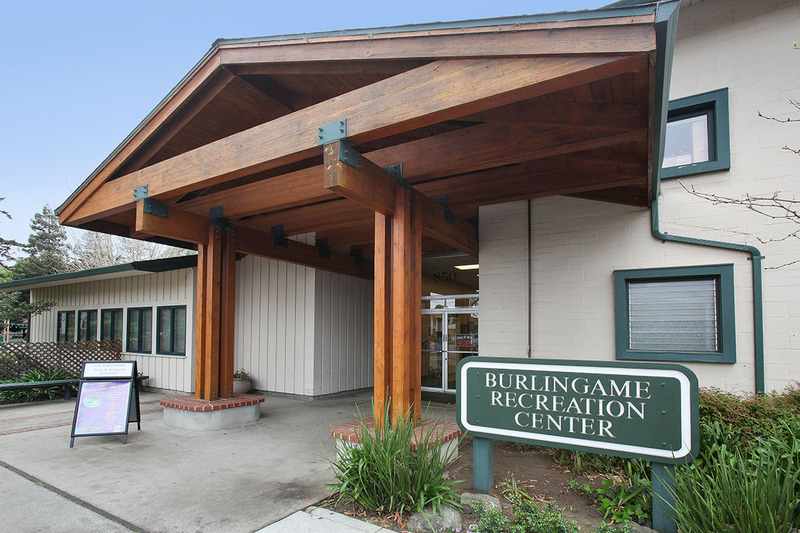 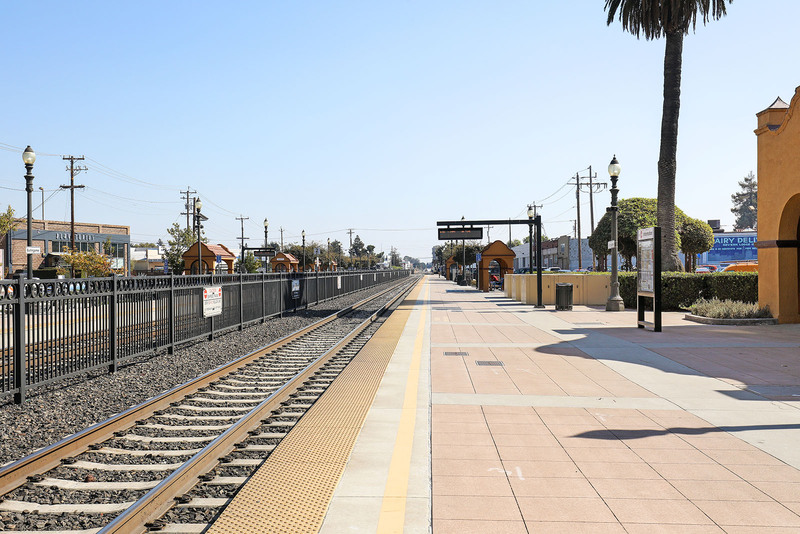 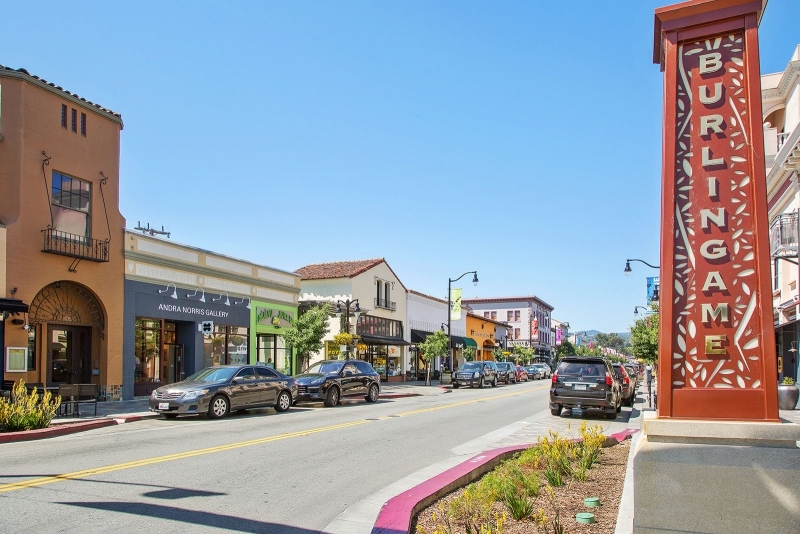 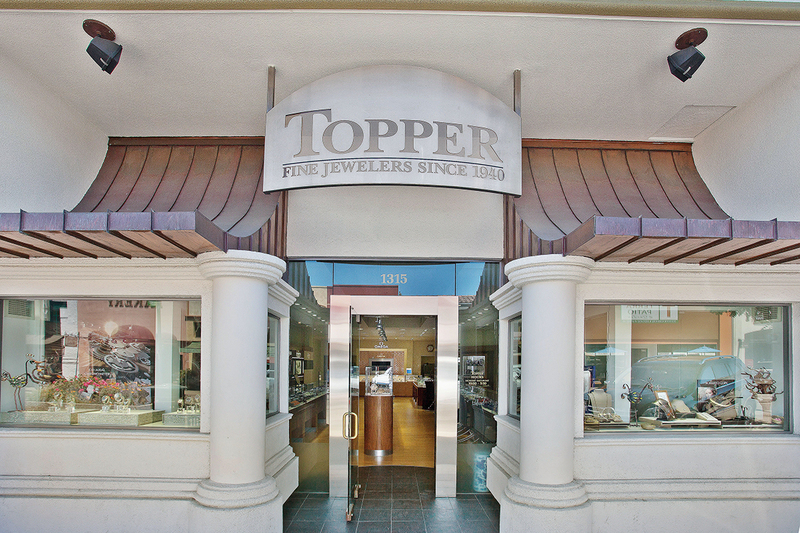 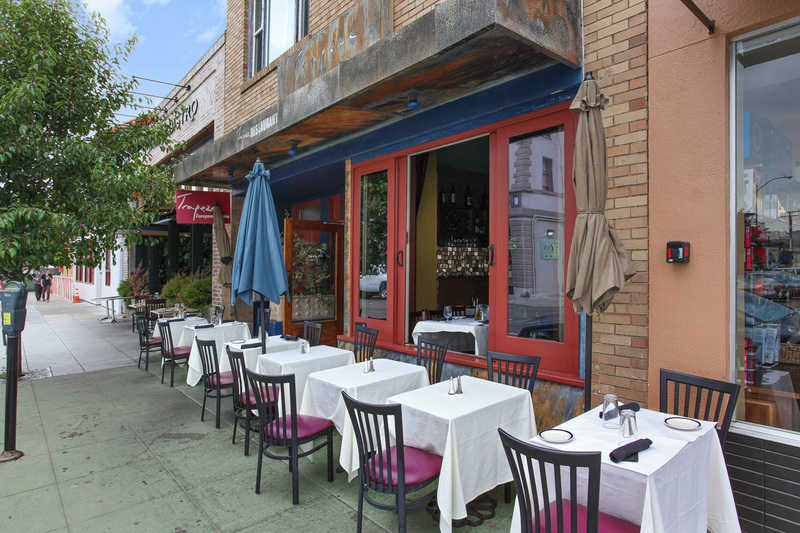 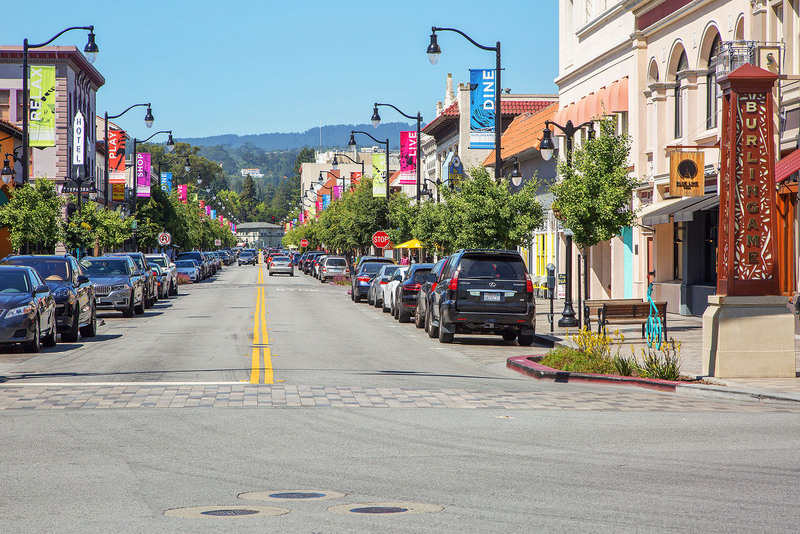 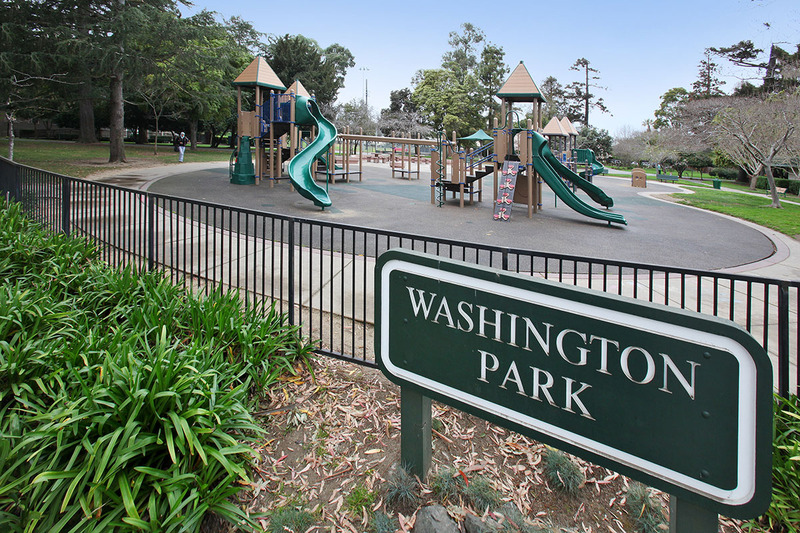 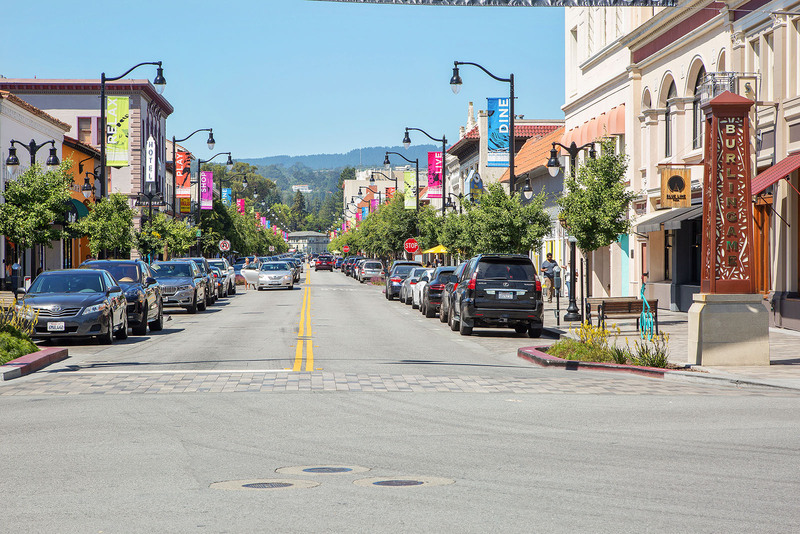 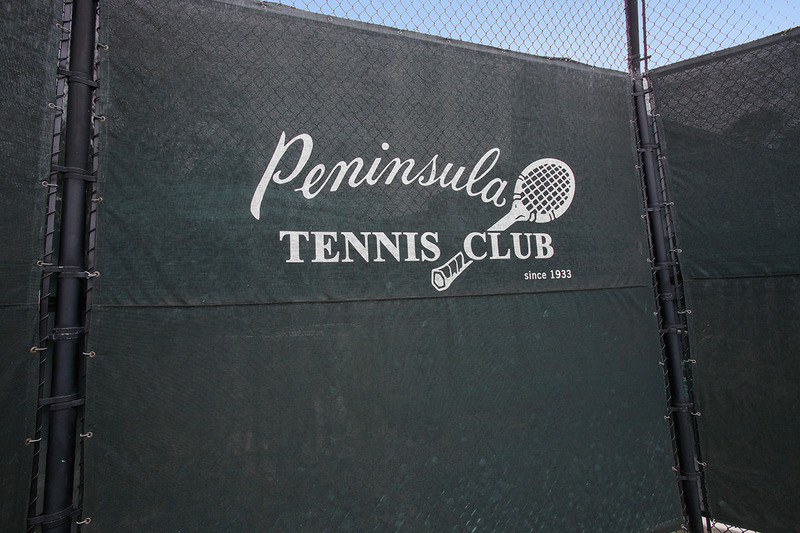 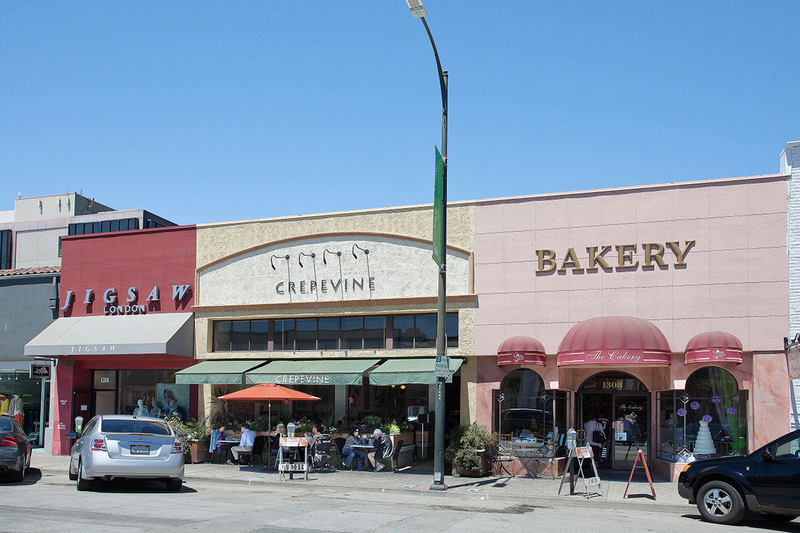 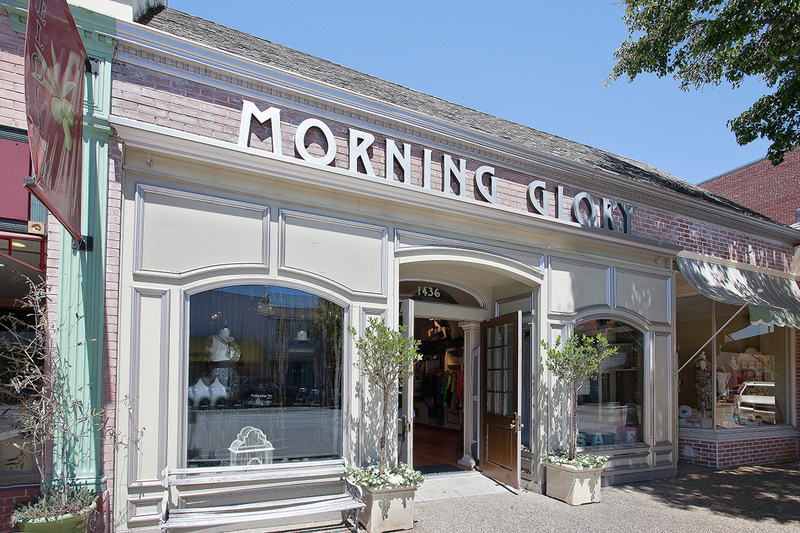 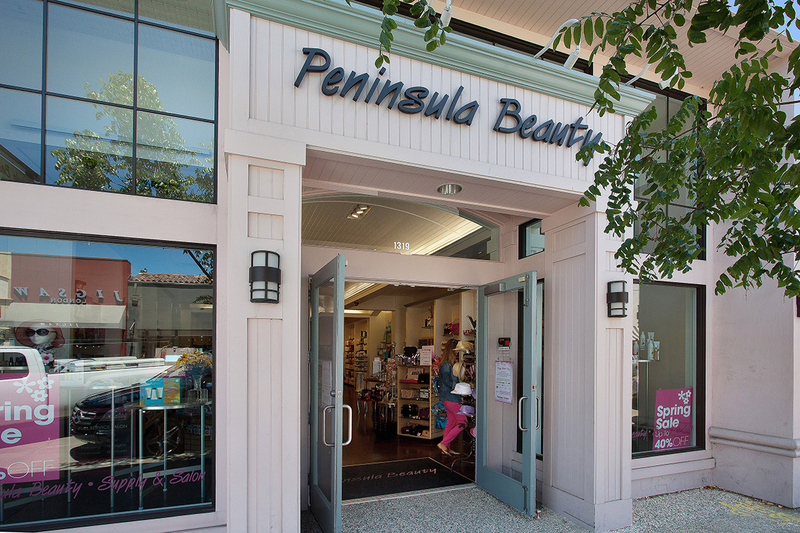 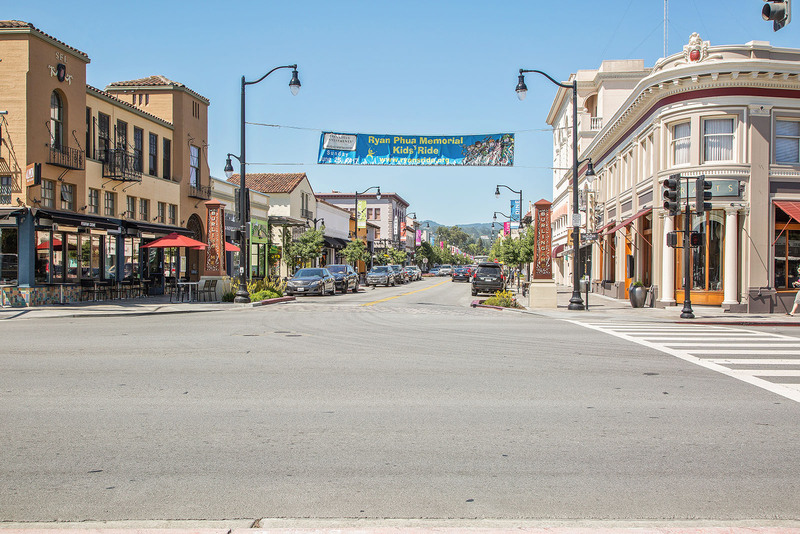 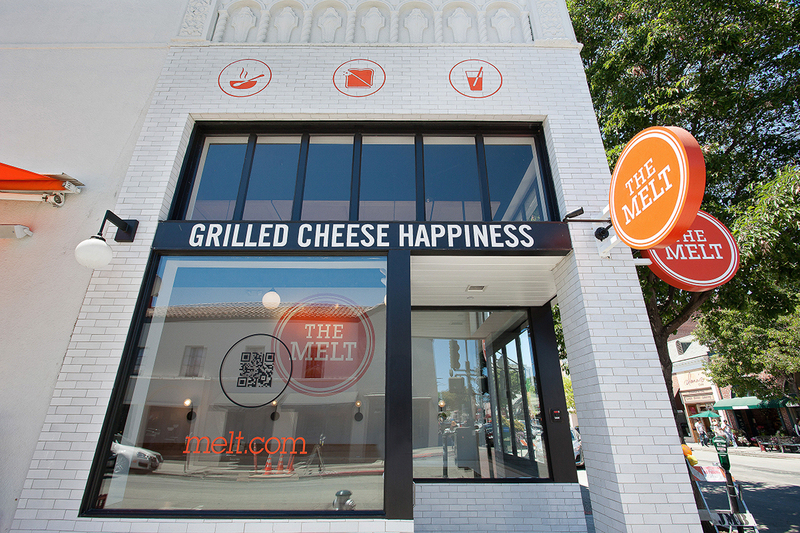 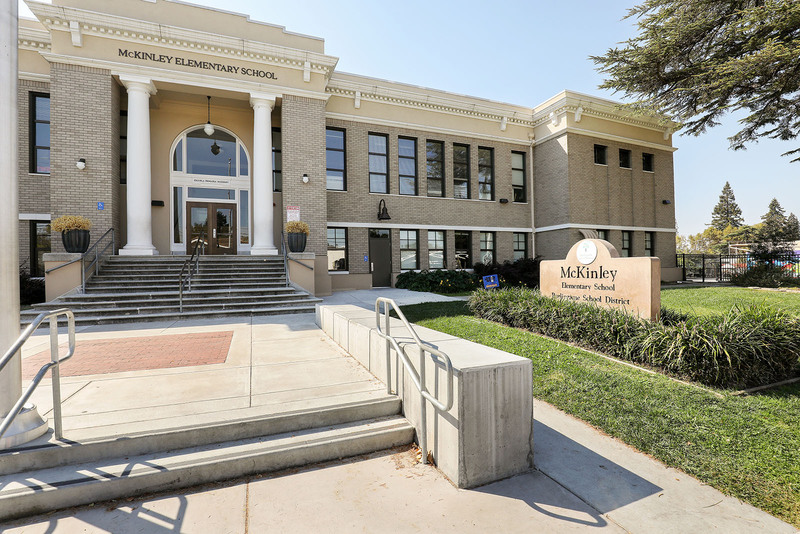 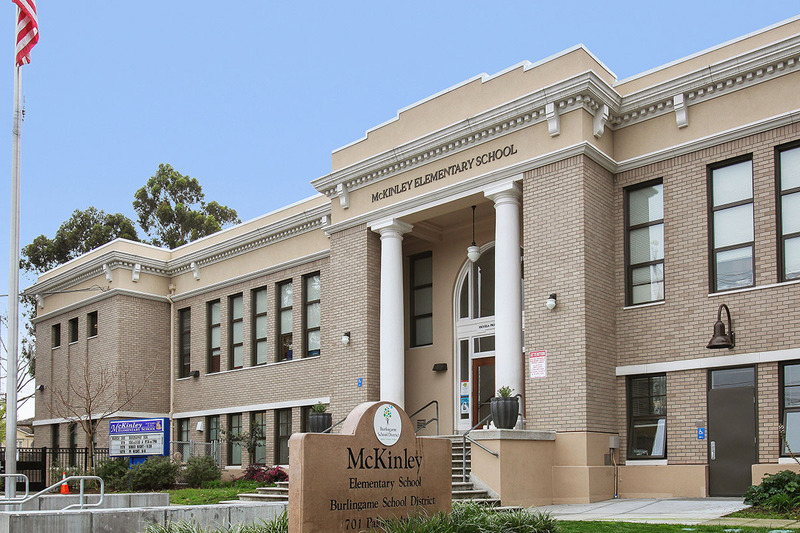 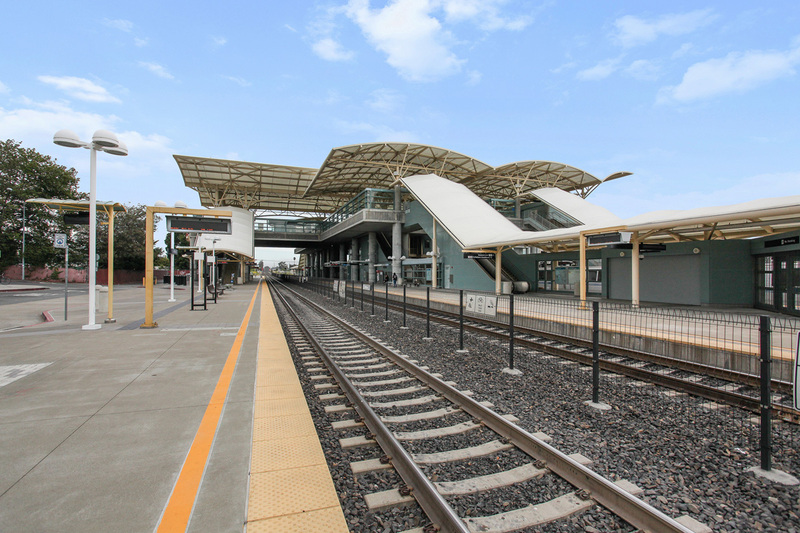 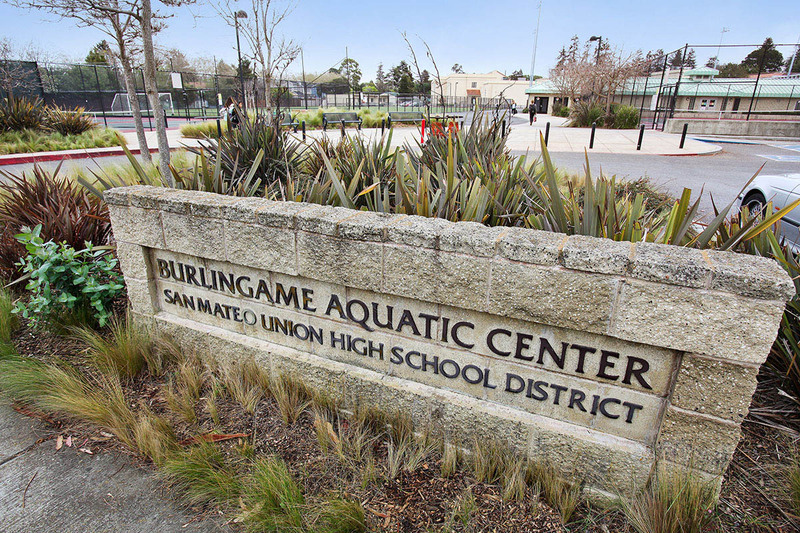 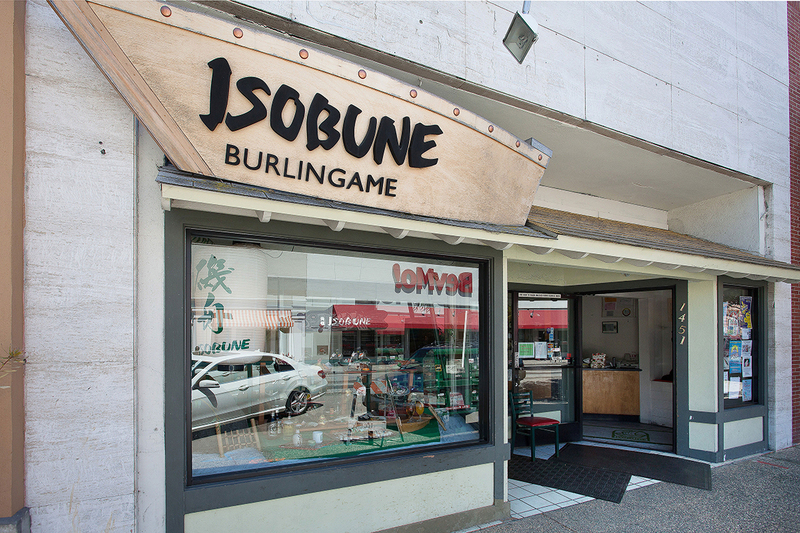 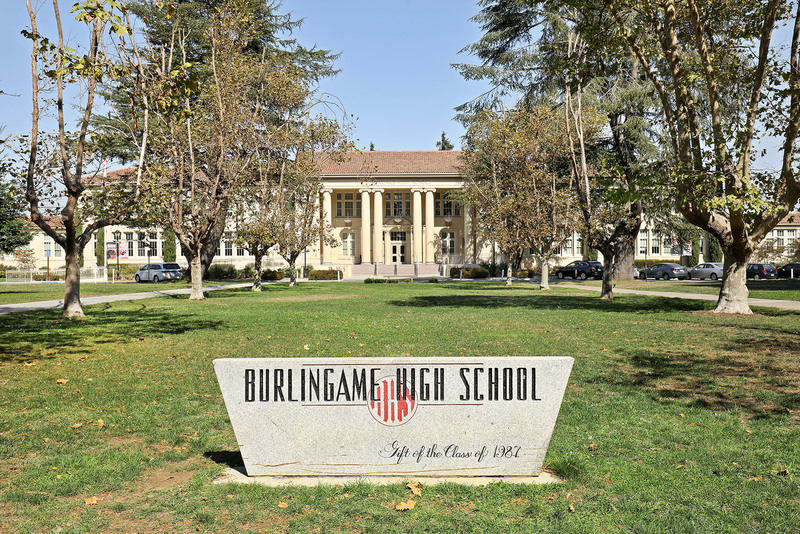 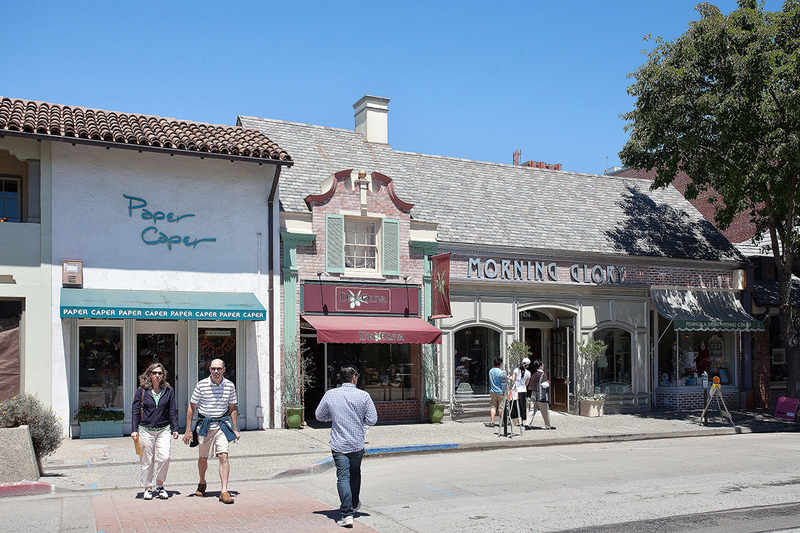 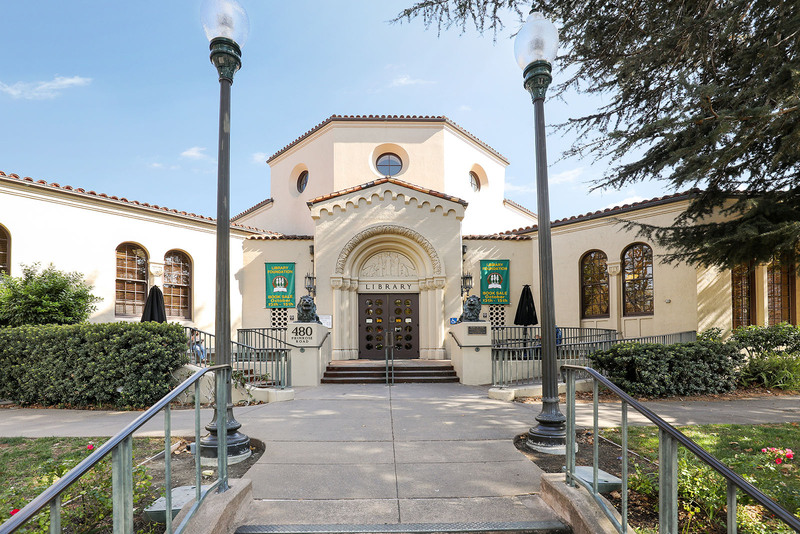 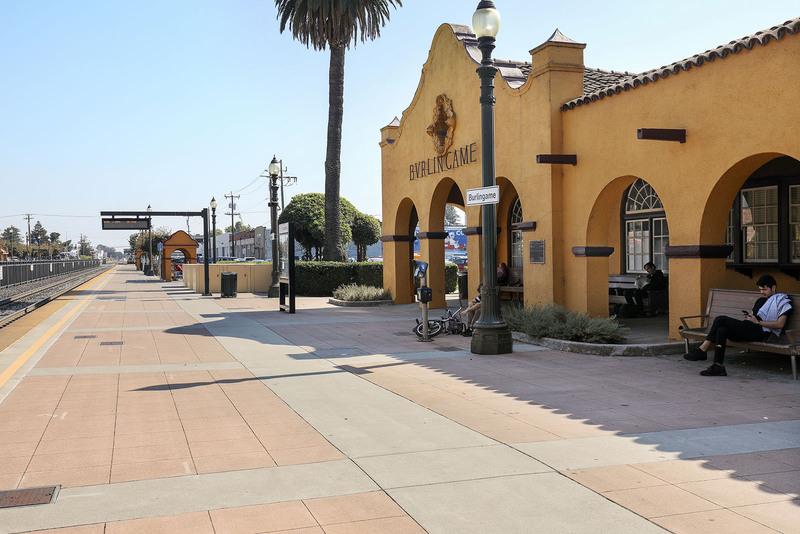 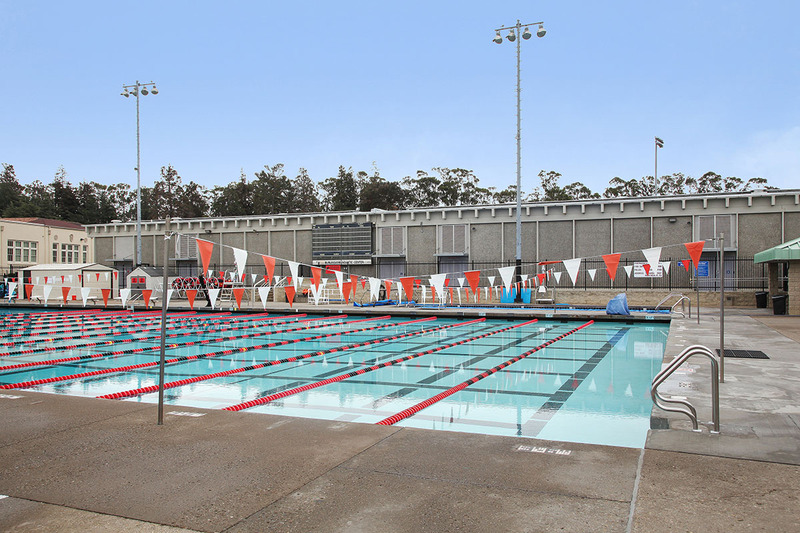 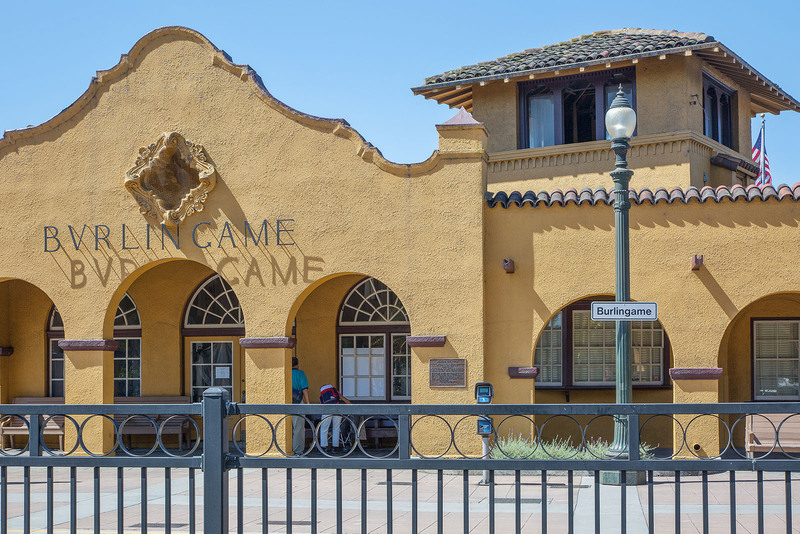 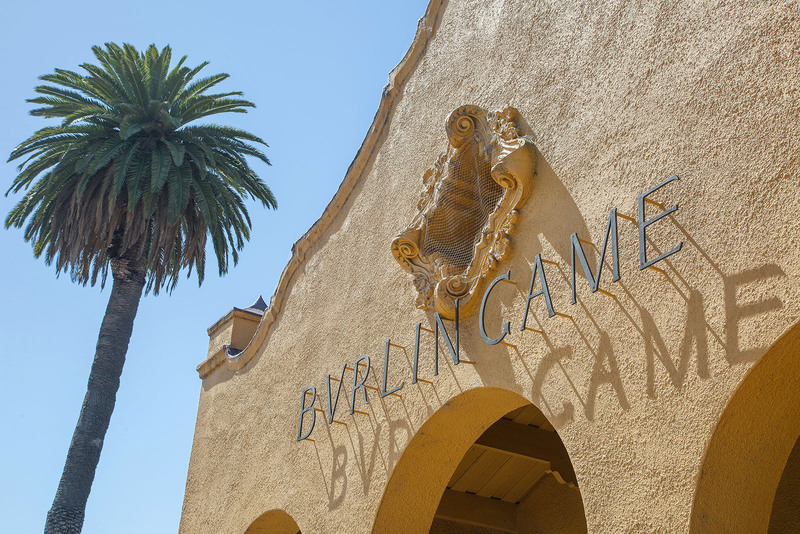 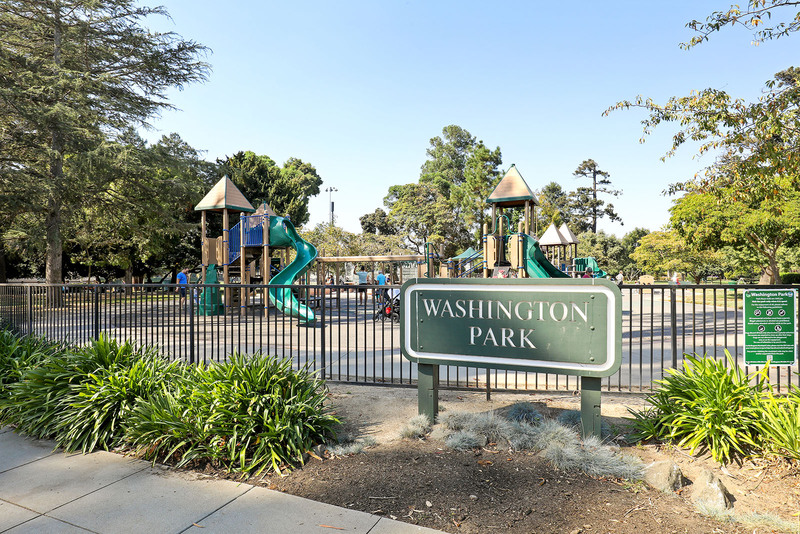 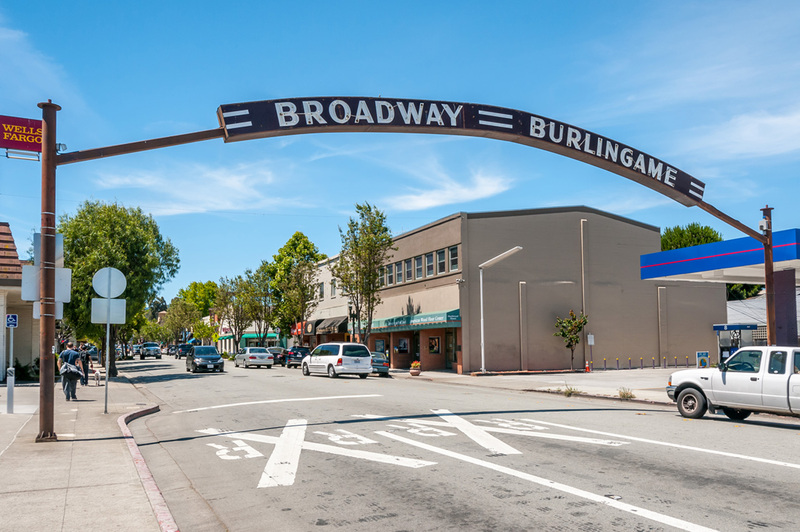 Burlingame attracts with its great weather, desirable schools, two central shopping and dining hubs, community parks and events, and proximity to major commute routes and SFO. 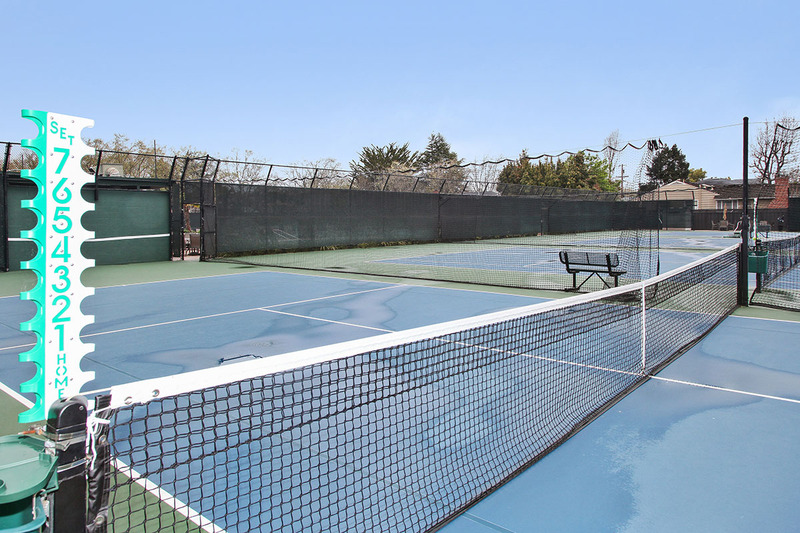 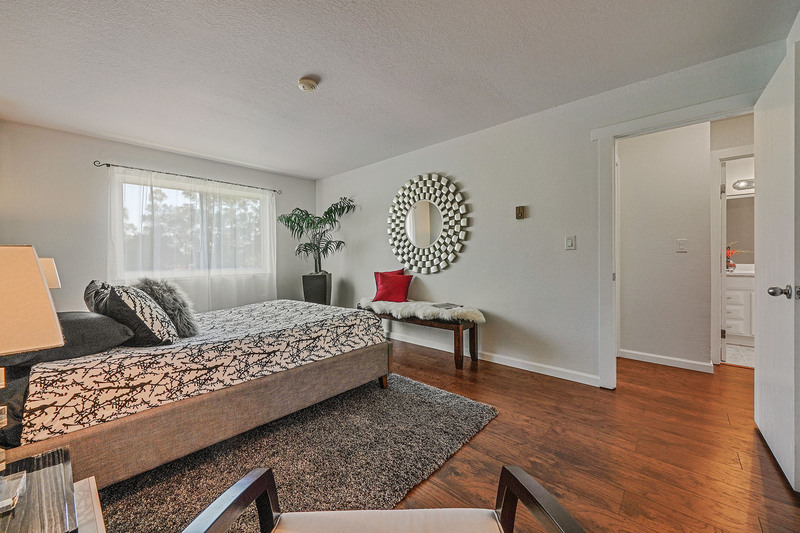 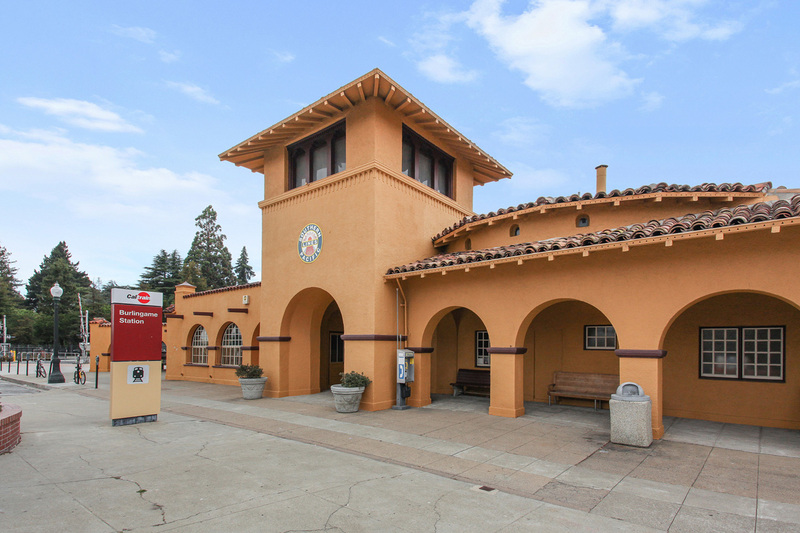 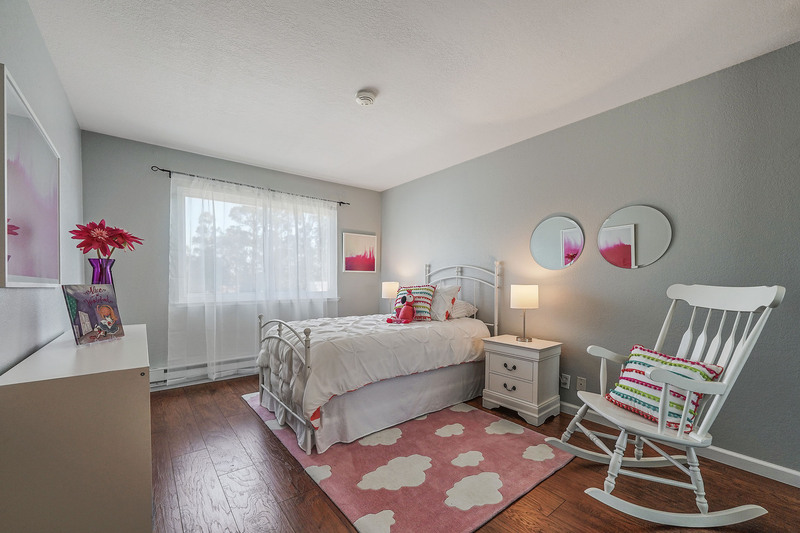 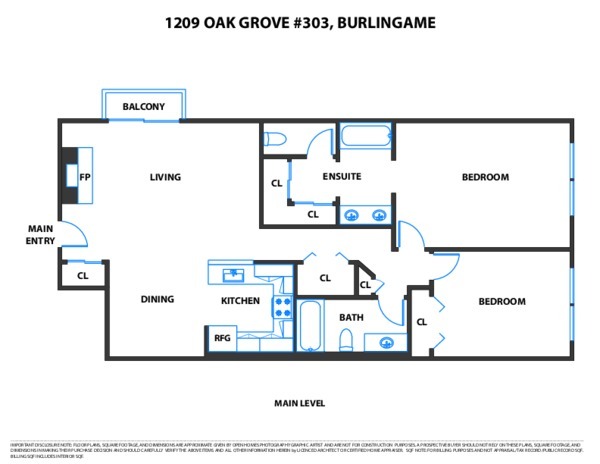 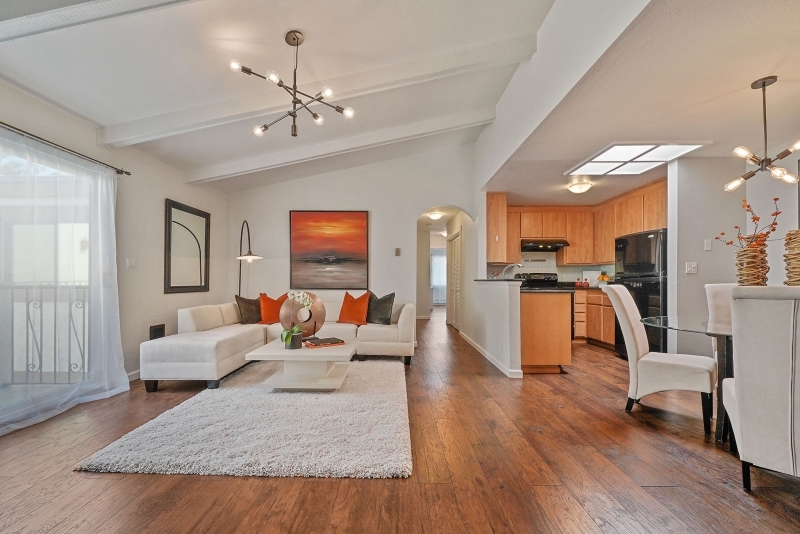 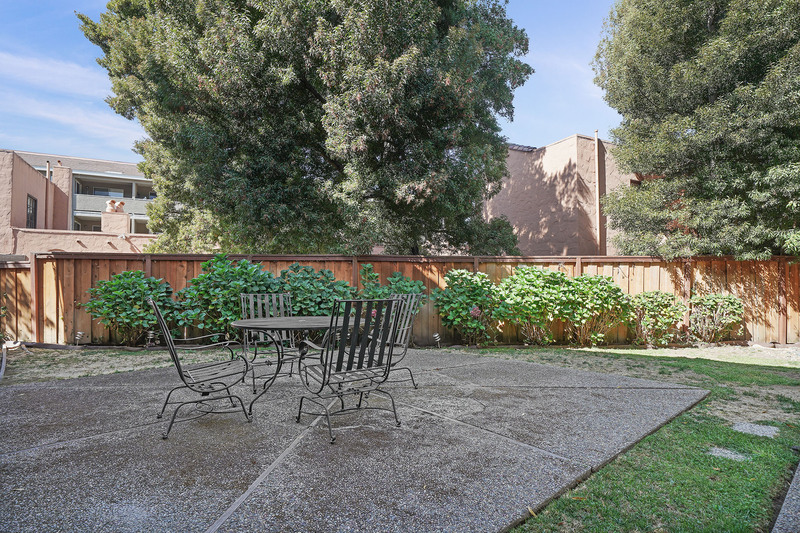 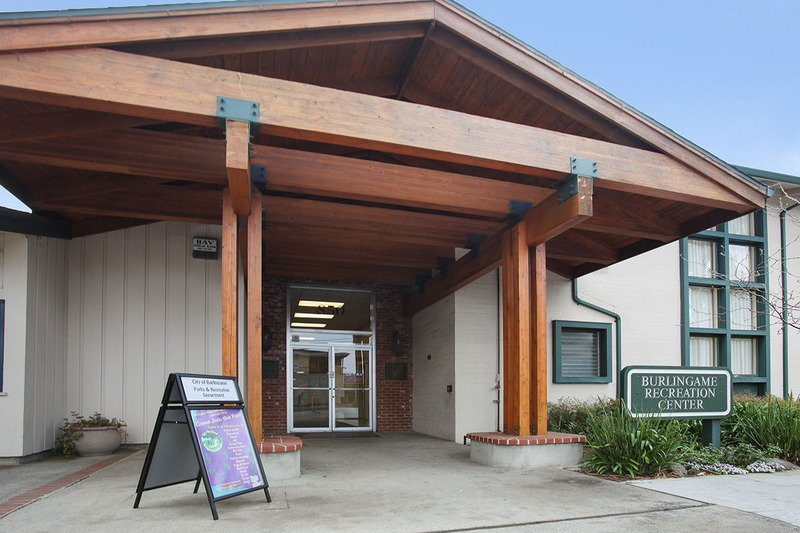 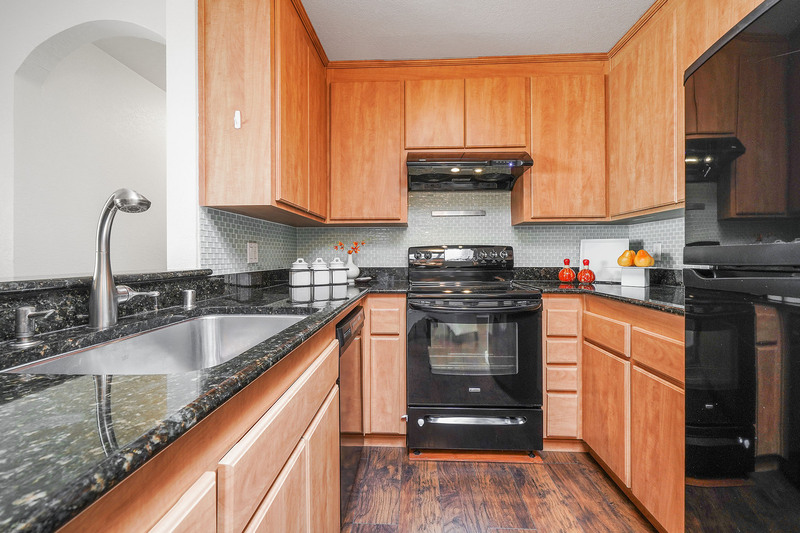 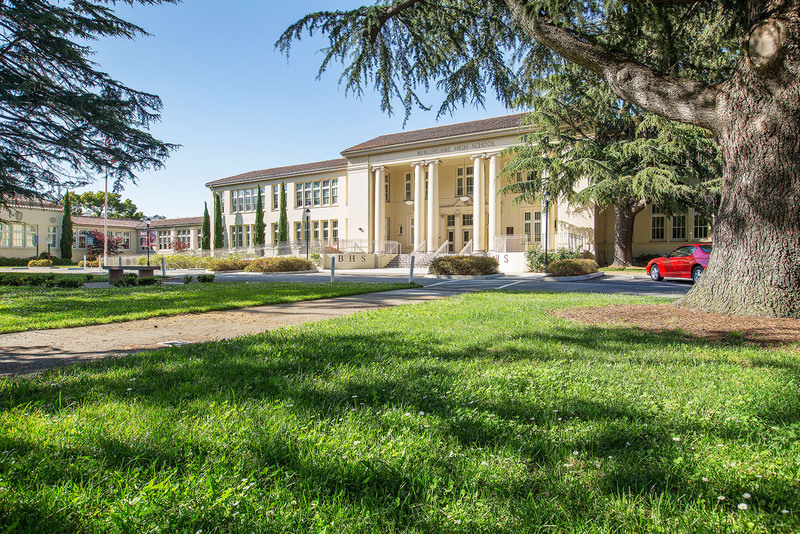 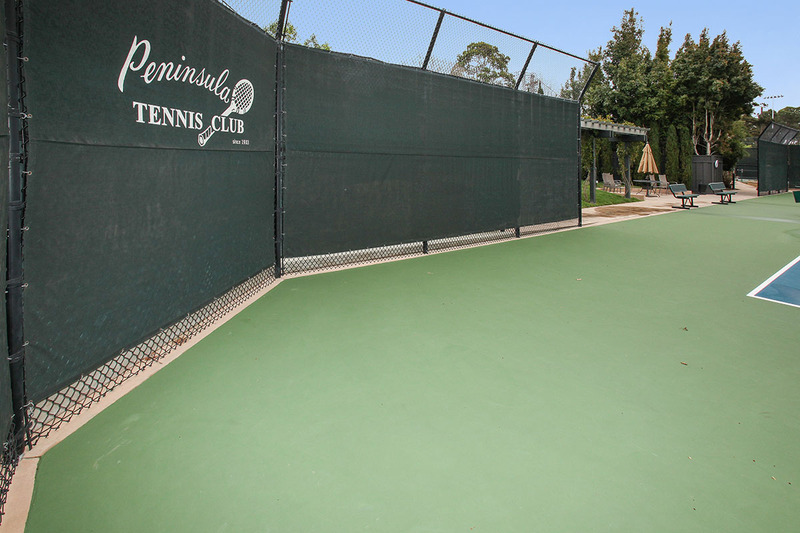 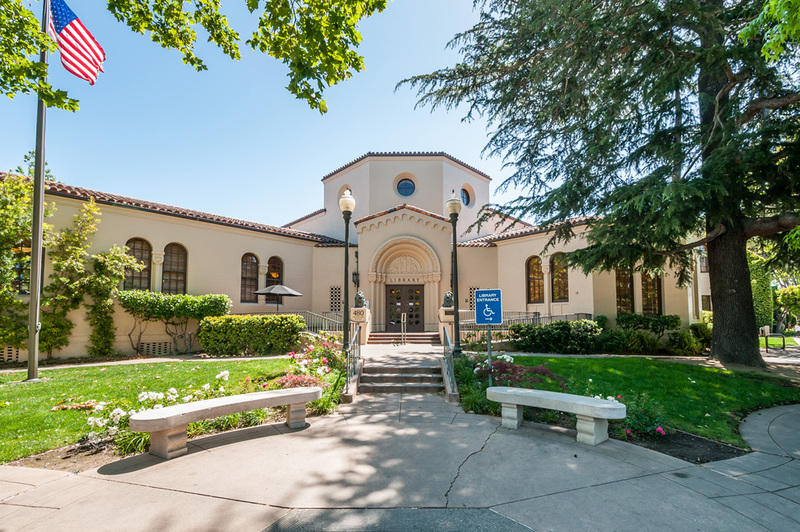 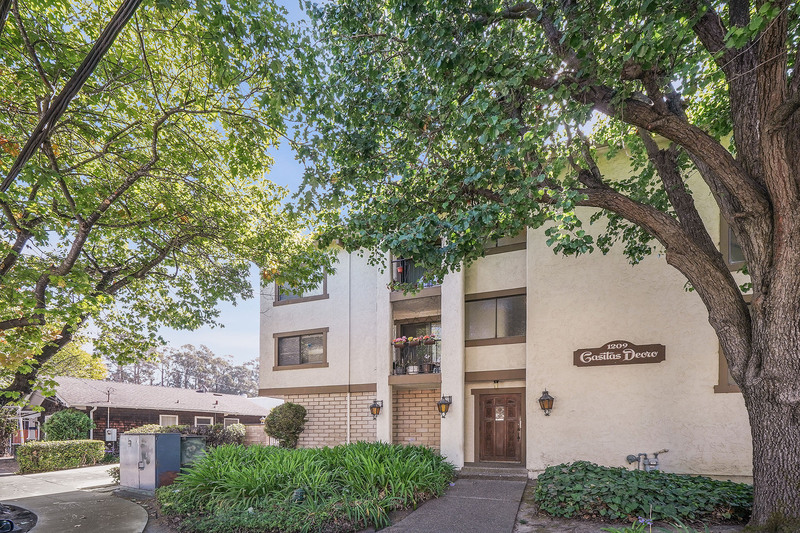 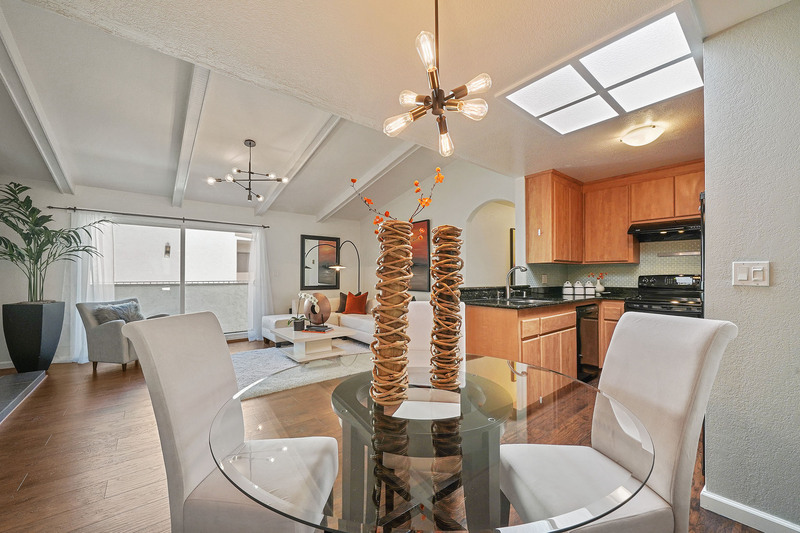 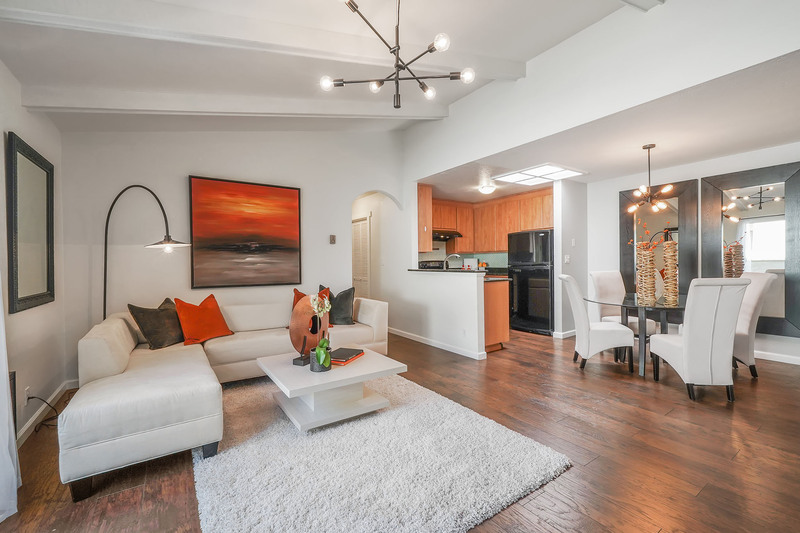 1209 Oak Grove #303, located in Casitas D’Oro, is exceptionally well located in the very heart of town - just blocks from both downtown Burlingame Avenue and Broadway, Washington Park, Burlingame Library, and the Caltrain station.